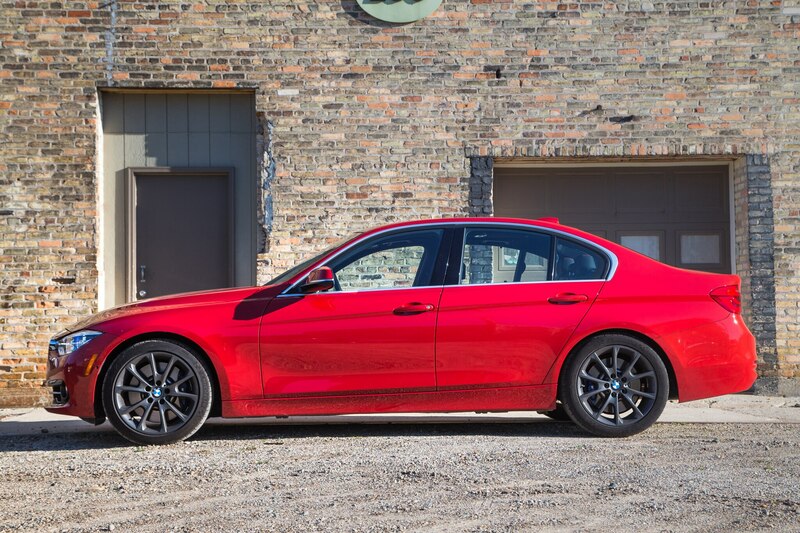 Once the undisputed benchmark of sport sedans, the BMW 3 Series has experienced something of a fall from grace. 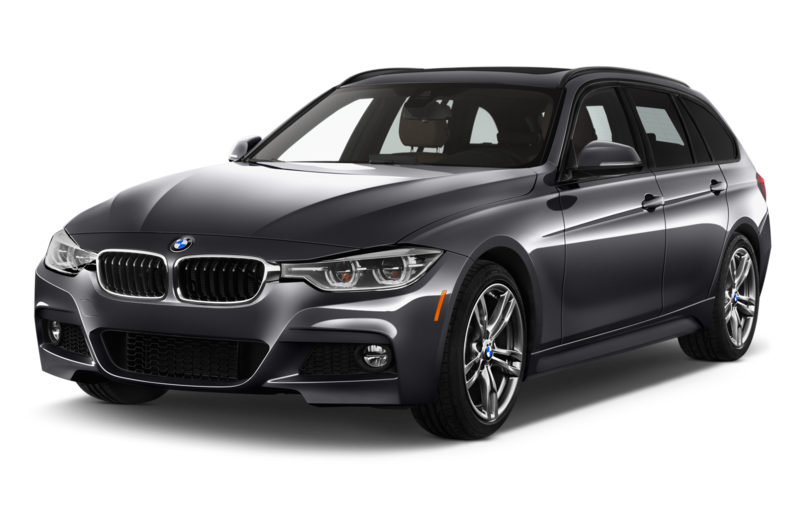 The F30 generation, from the base model up through the M3, hasn’t quickened our hearts the way past generations consistently could. 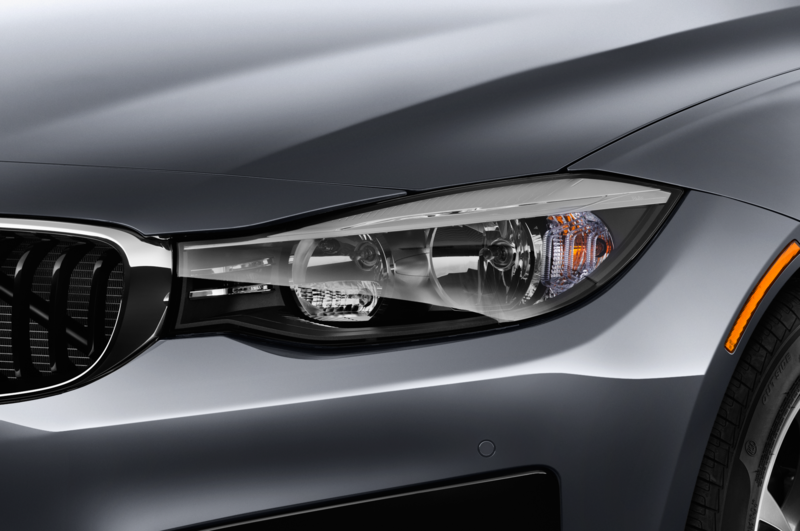 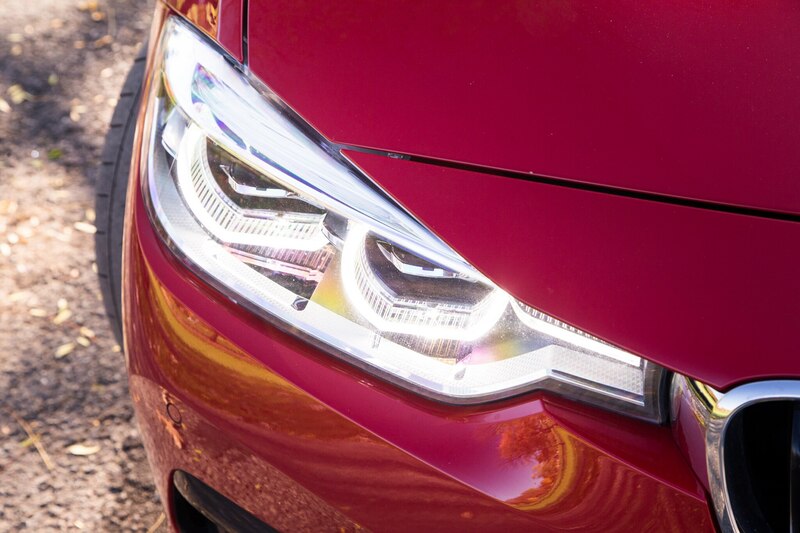 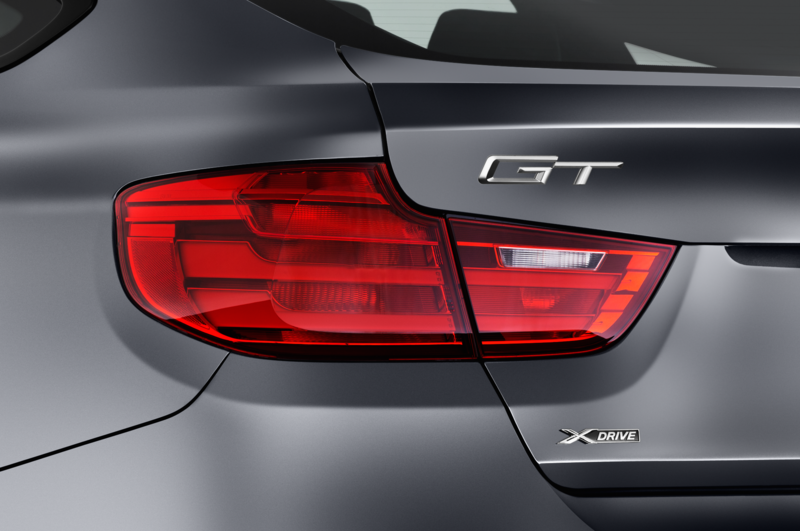 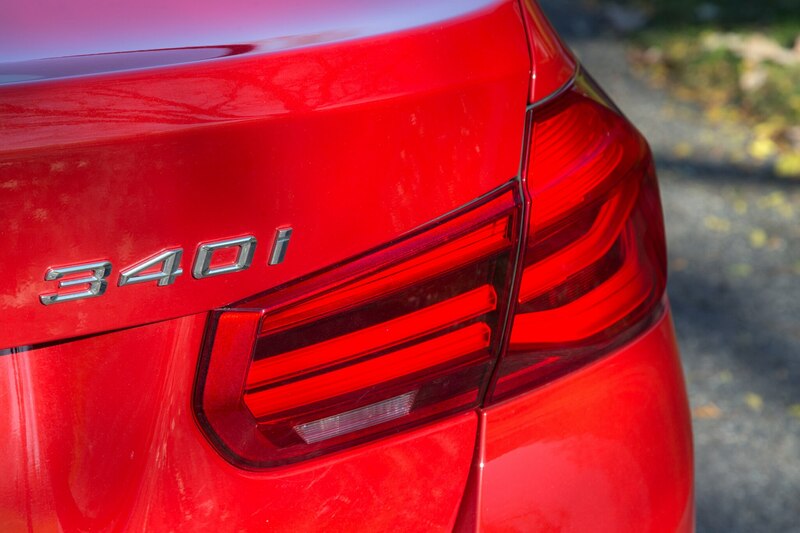 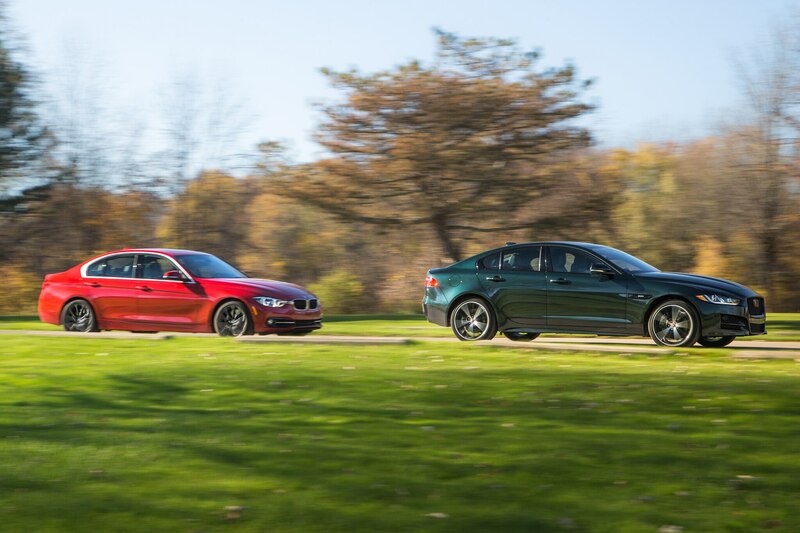 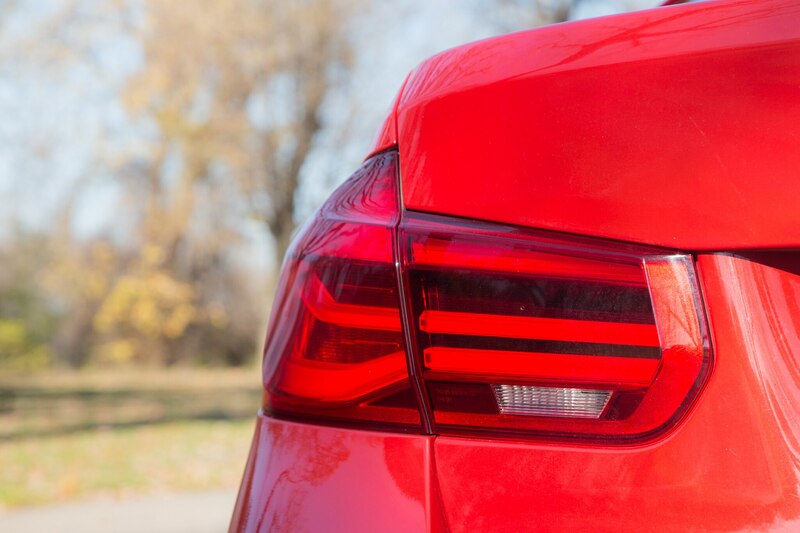 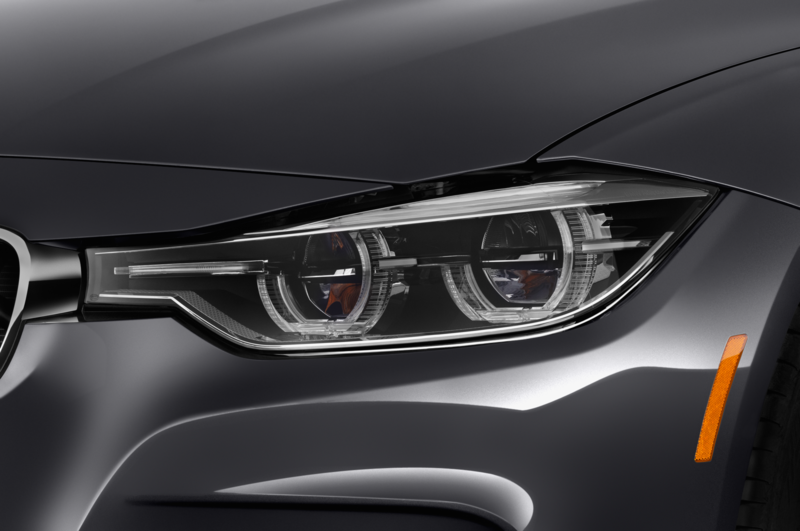 That sliver of light now between the 3 Series and sport-sedan excellence has left room for the competition to file in, all chasing the top spot. 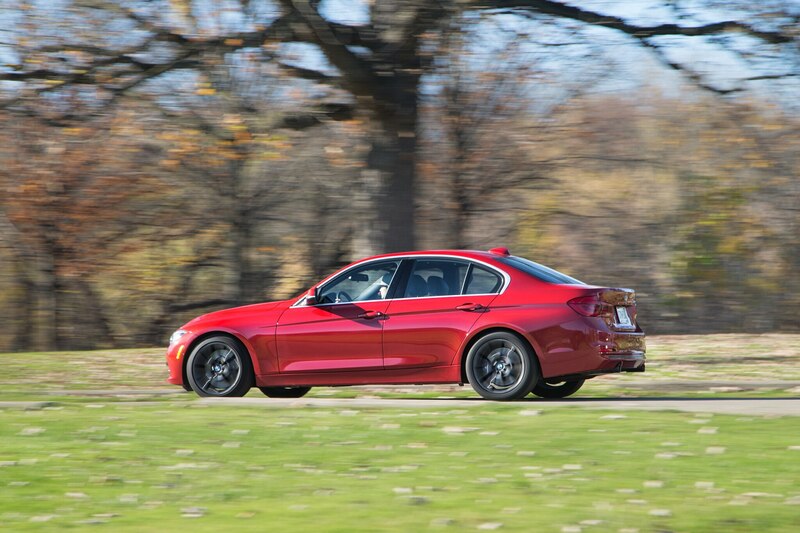 Longtime rivals like the Mercedes-Benz C-Class and Audi A4 are better than ever, but where the slow-selling Cadillac ATS has failed, the upstart Alfa Romeo Giulia is looking to capitalize. 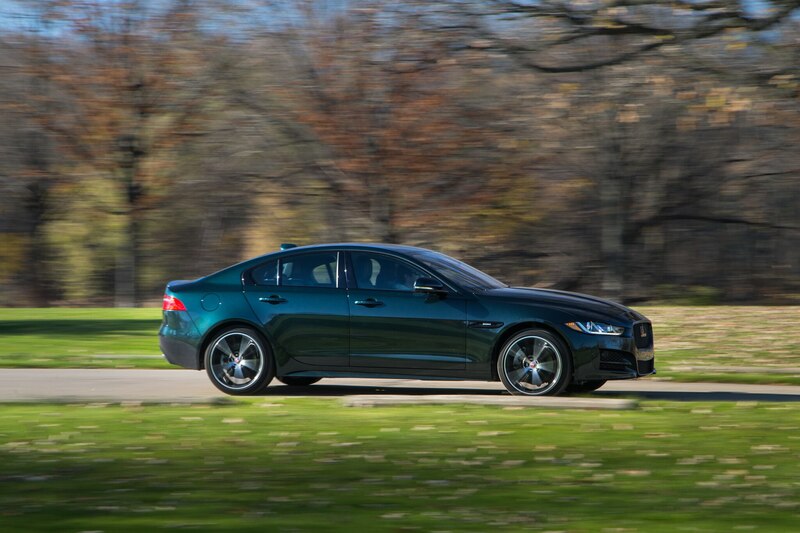 But among all of these rivals, none has more closely tried to ape the 3 Series formula than the Jaguar XE. 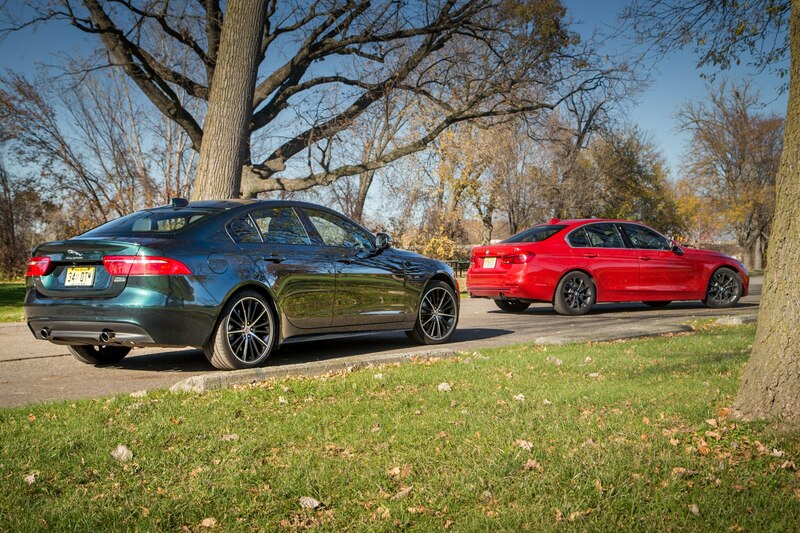 In many ways, the relationship between the Jag and the Bimmer reminds me of two dogs a friend grew up with. 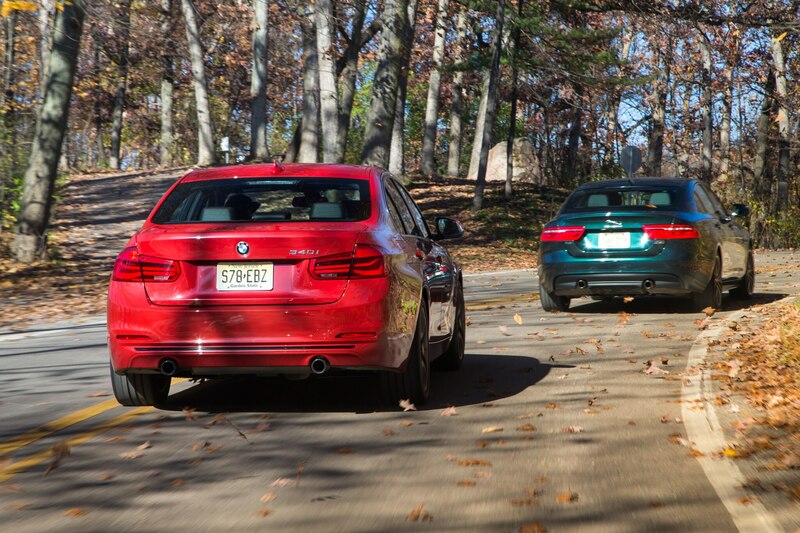 The two beautiful Standard Poodles, Phoebe and Charlie, were fond of untethered walks through the woods. 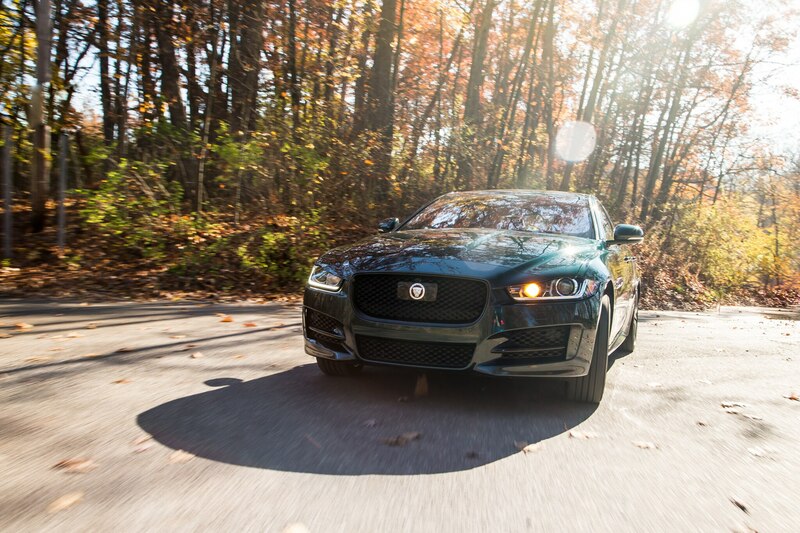 Charlie, older and wiser, was prone to freely wandering around in search of sticks to pick up in his teeth. 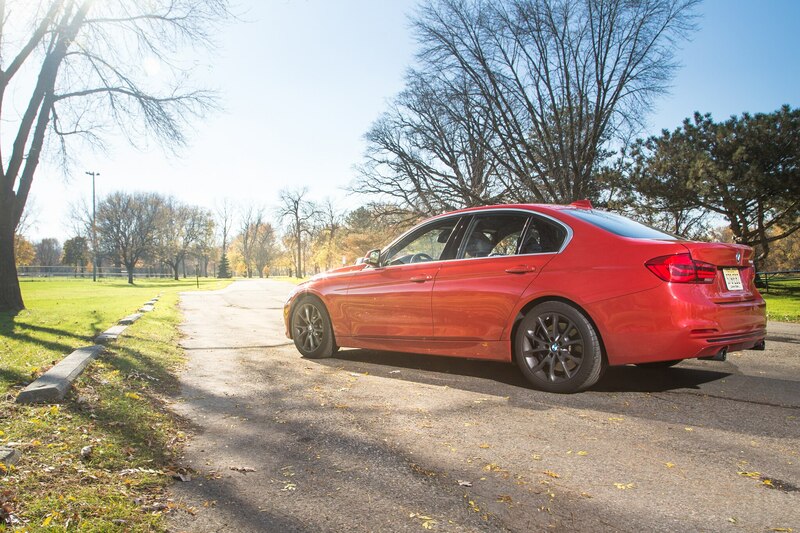 Phoebe was also fond of sticks, but only the ones that Charlie had picked up first. 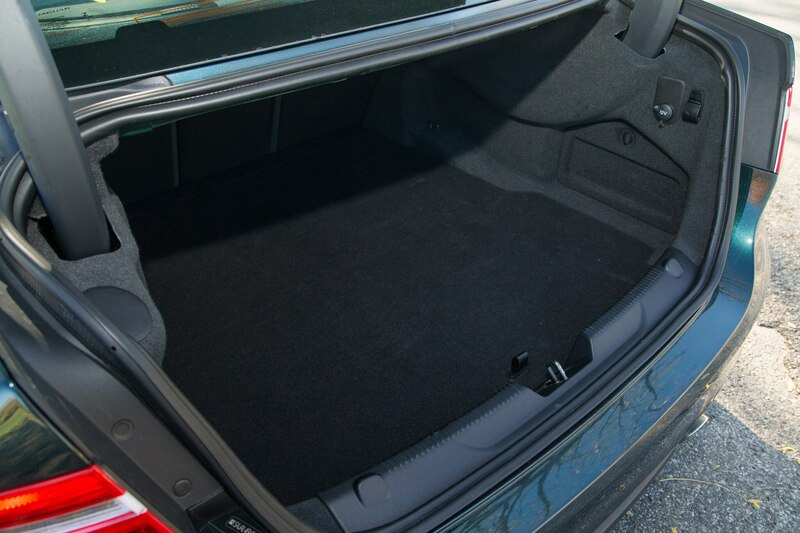 My friend was quick to point out that although Phoebe was younger and more energetic, and she could have had any stick in the forest, she was too jealous of Charlie and ended up limiting her available options. 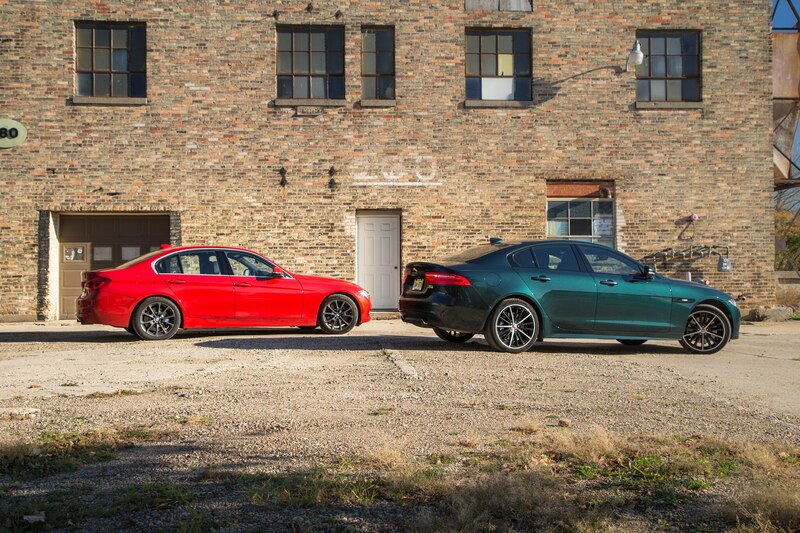 After hucking the XE 35t R-Sport and 340i around back roads and city streets, I can’t help but wonder how good the Jag could have been if it hadn’t narrowed its target to the BMW. 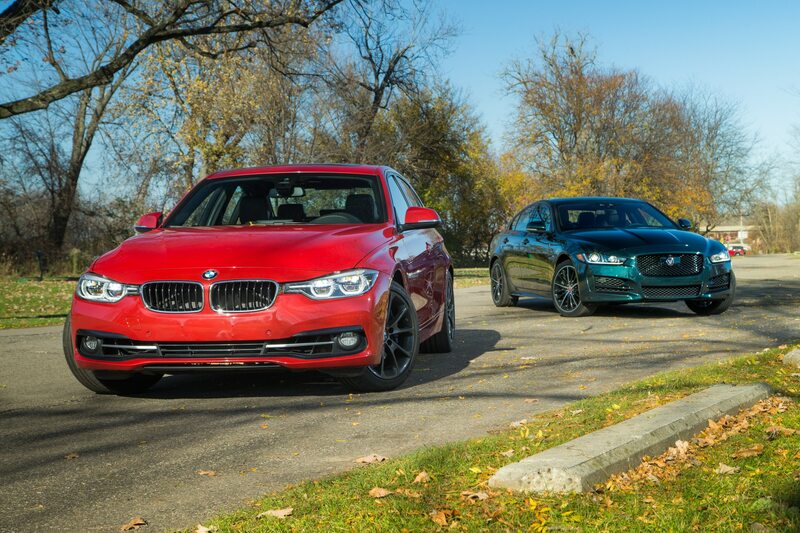 We opted for the most driver-oriented versions of each car we could get our hands on. 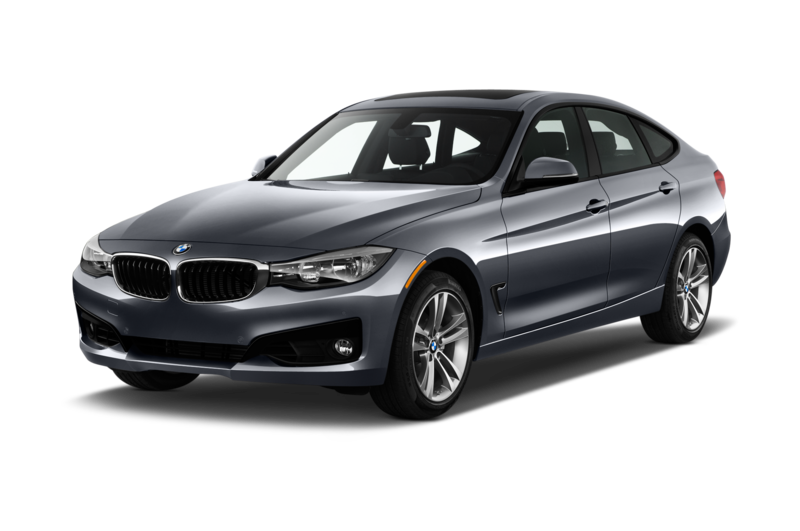 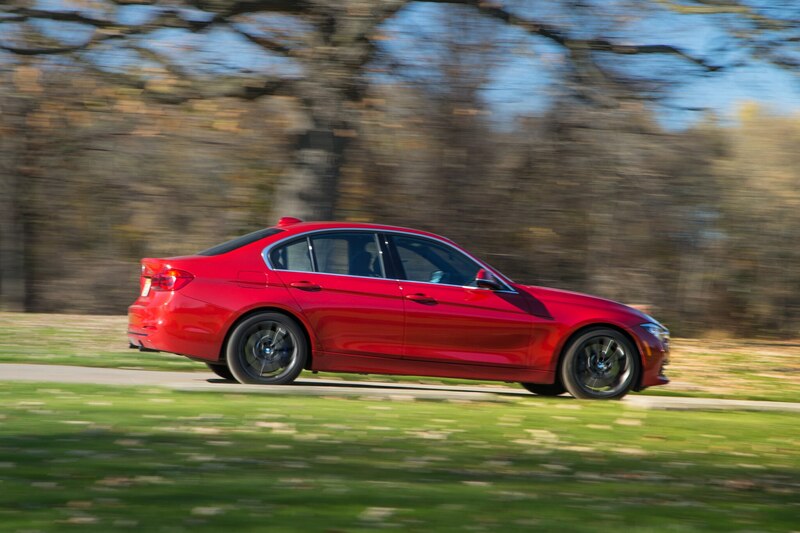 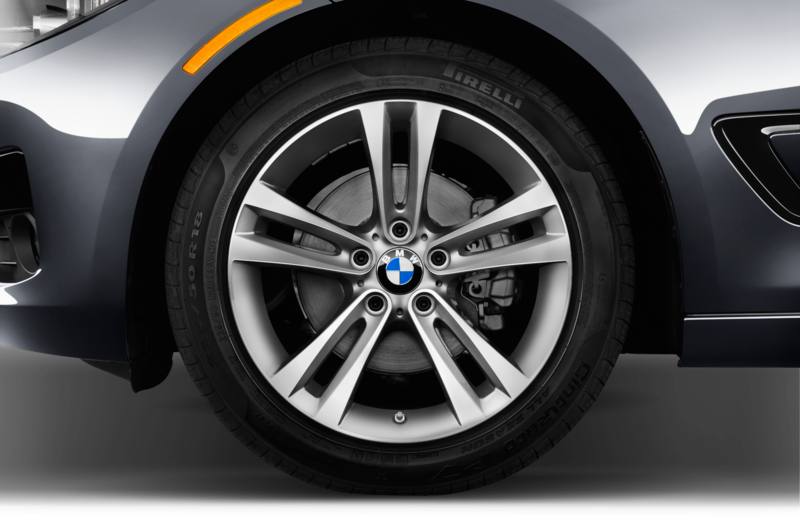 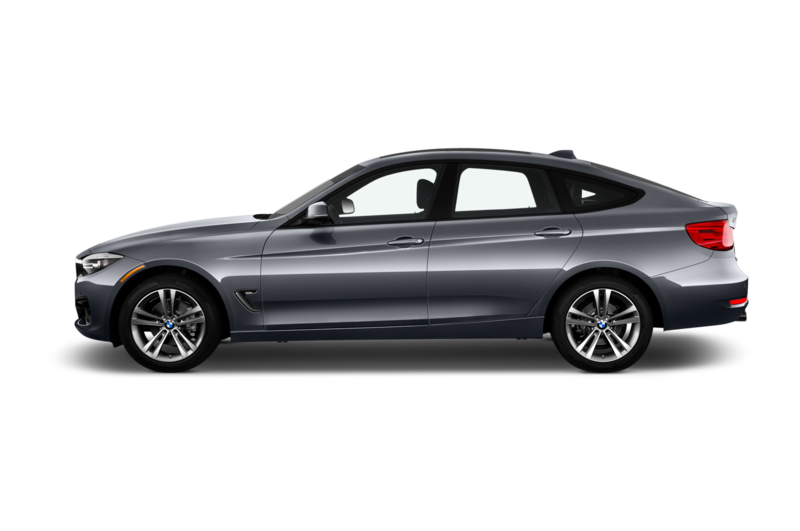 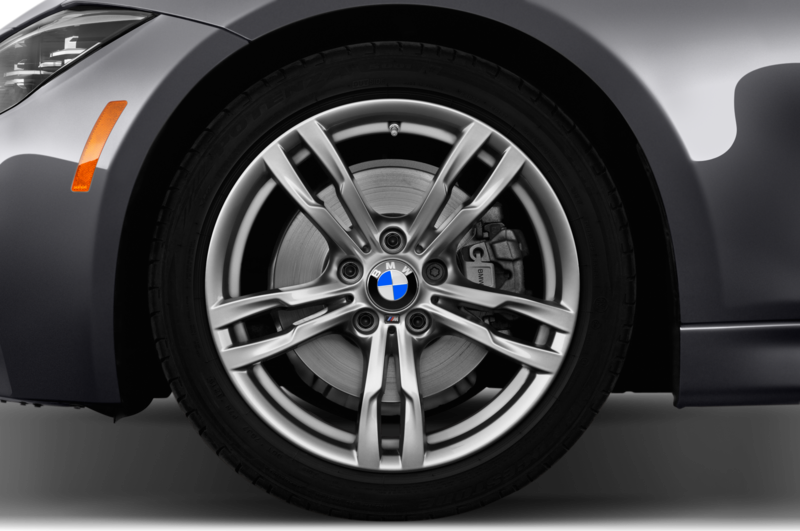 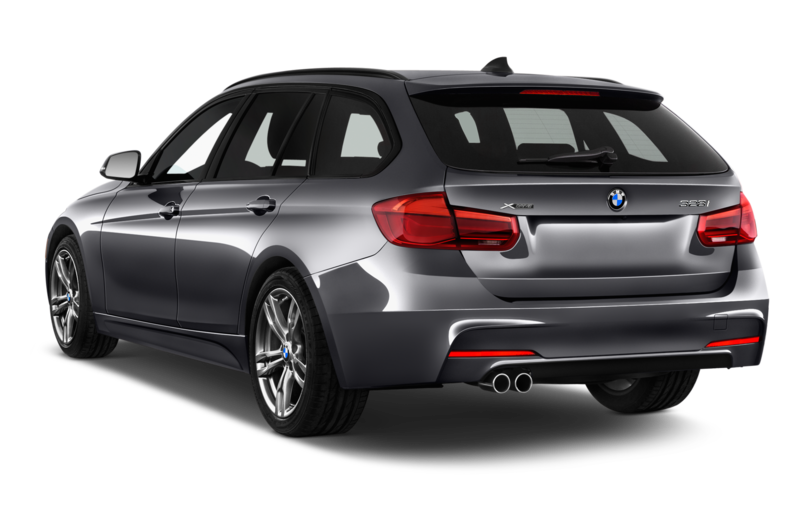 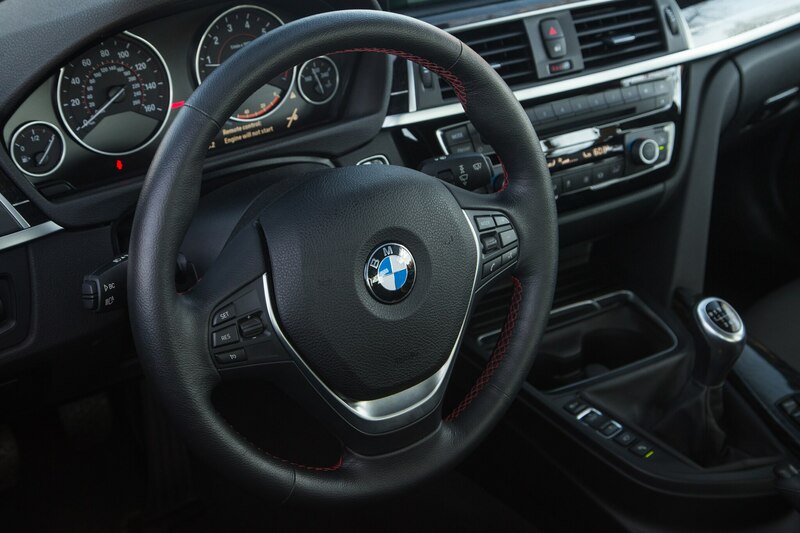 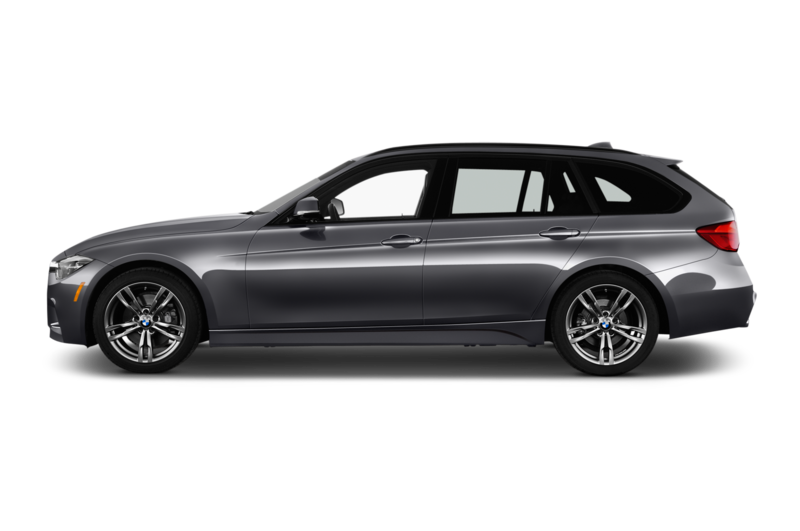 The rear-drive 340i boasts not only a six-speed manual transmission, but also a $1,700 Track Handling Package that adds larger M Sport brakes, variable-ratio sport steering, an adaptive suspension, and a smaller three-spoke steering wheel. 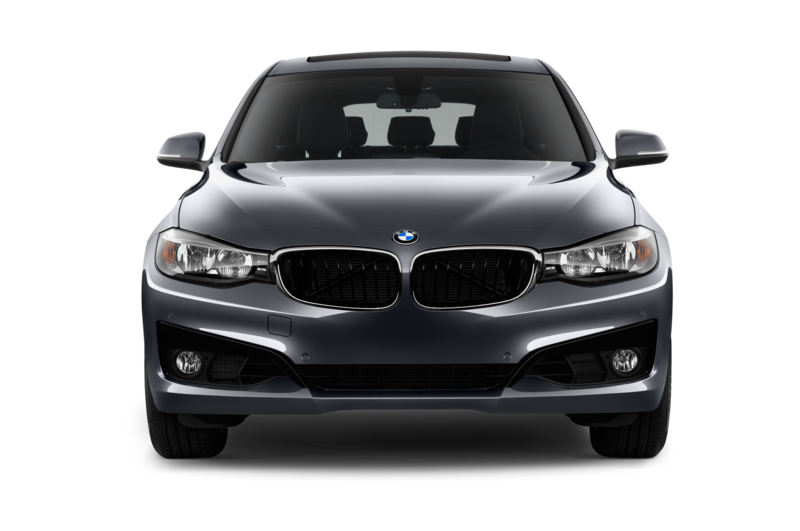 Otherwise, it’s fairly loaded with advanced driver-assistance packages, a cold-weather package, and a technology package, ballooning the base price from $46,795 to $59,420. 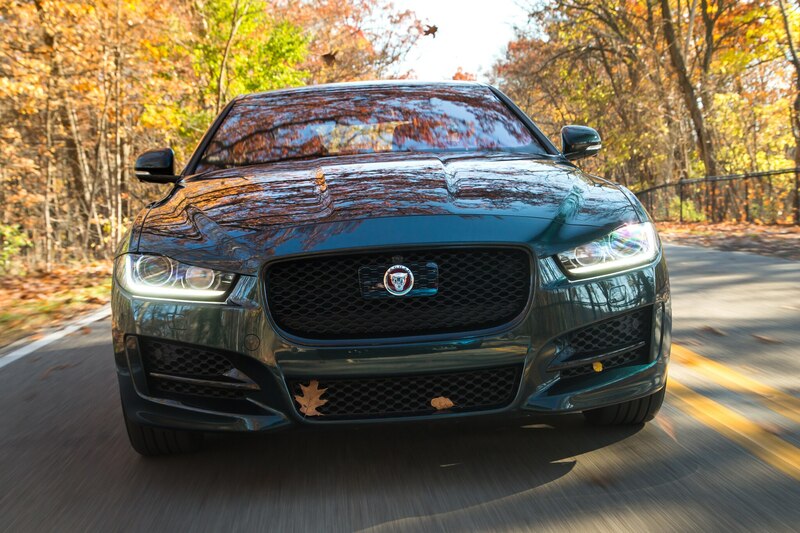 On the British side of the fence, the 35t is the alpha dog of the XE pack until the more powerful 380-hp XE S arrives later this year. 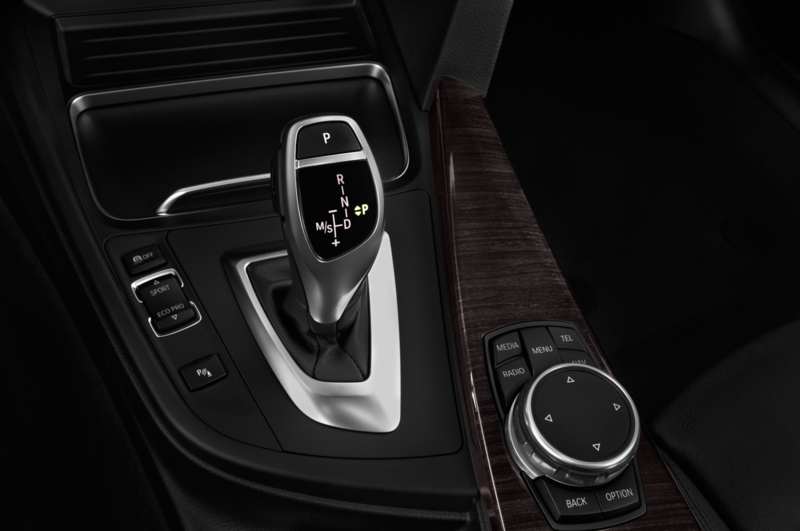 Our tester came with all-wheel drive as well as the Jag’s sole transmission choice, a ZF eight-speed automatic also offered in the 340i. 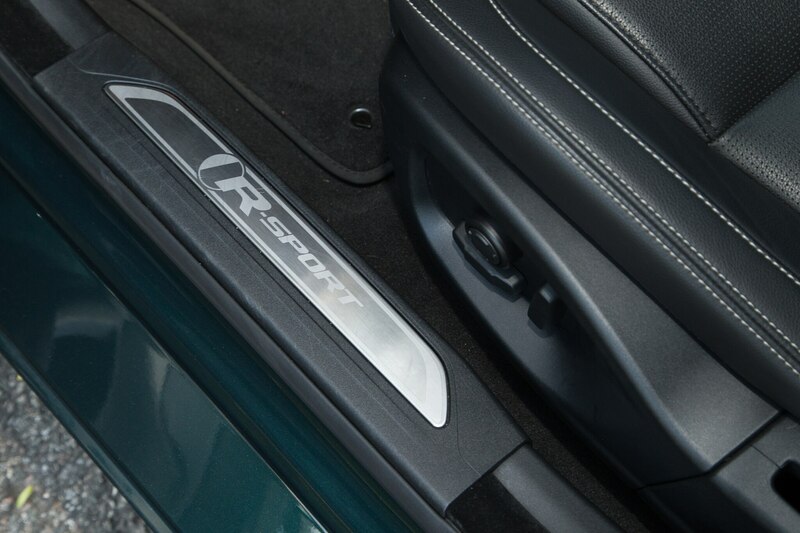 Jazzed up in racier R-Sport trim and British Racing Green paint, it’s one of more purposeful looking combinations in the XE catalogue. 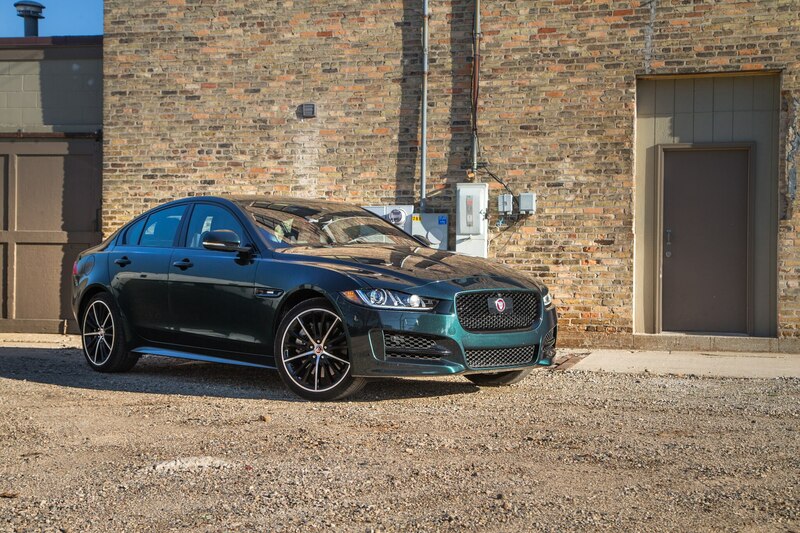 As with the Bimmer, this XE came full to the gills with driver assistance, comfort and convenience, and technology packages to go along with its $1,000 adaptive suspension. 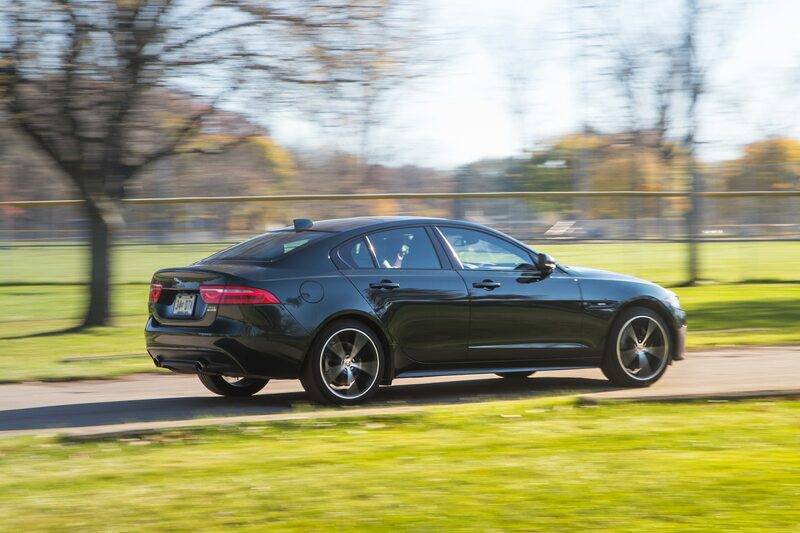 From its base price of $52,695, the Jag rings in at $64,585. 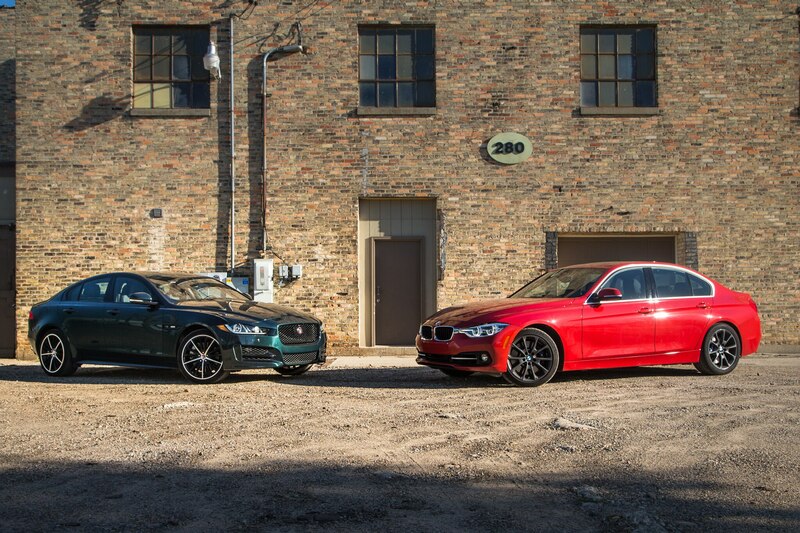 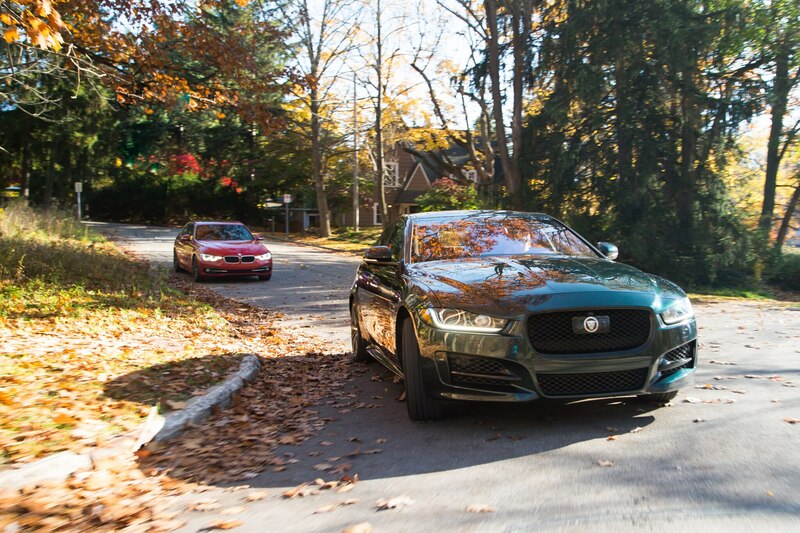 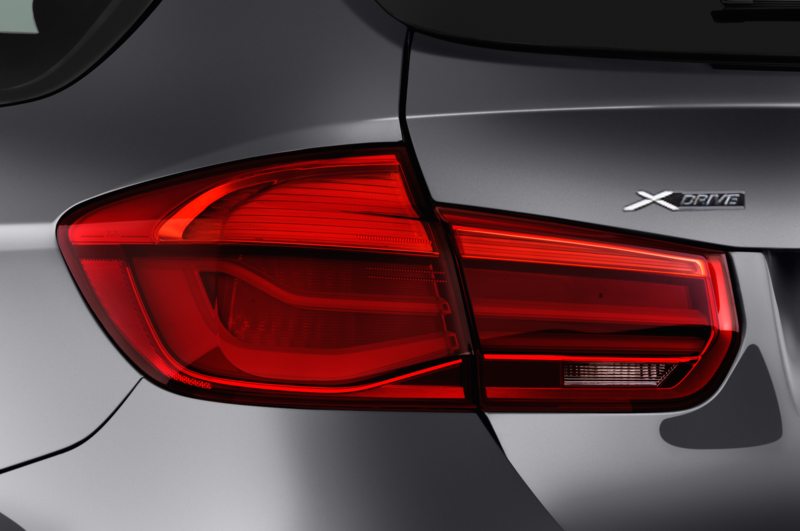 Proportionally, the XE and 340i are almost identical. 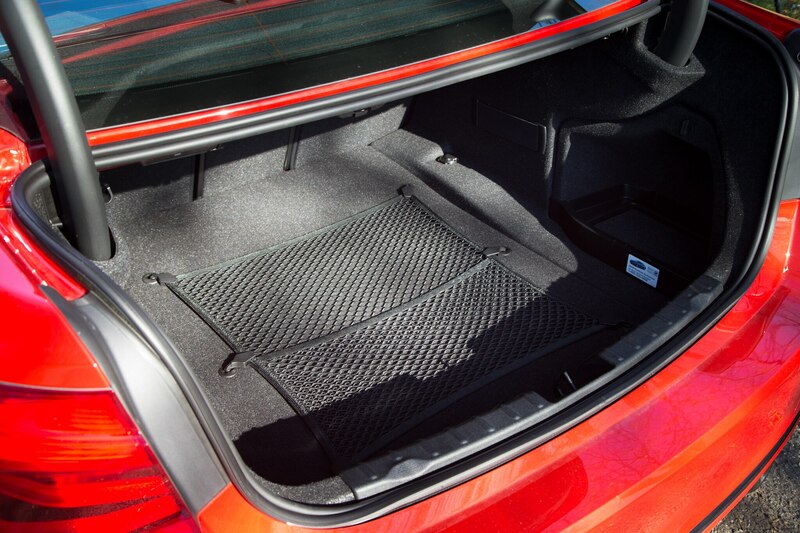 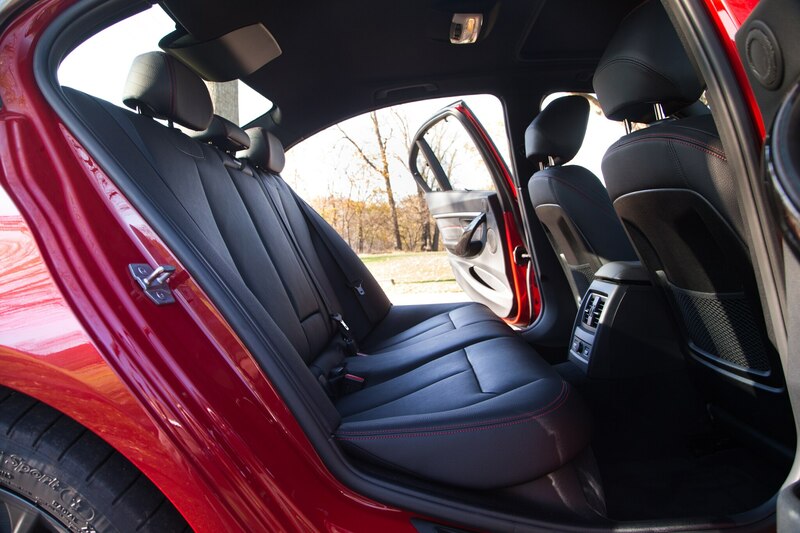 The Jag adopts a slightly more rakish rear window (at the expense of rear-seat headroom), but that’s about it. 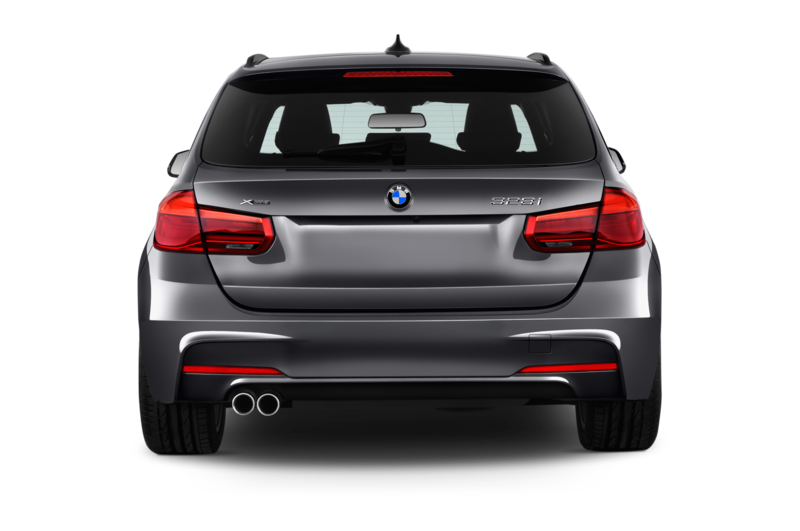 Particularly in the rear-three-quarter view, the two cars cut an almost identical silhouette, with long hoods and stubbier tails. 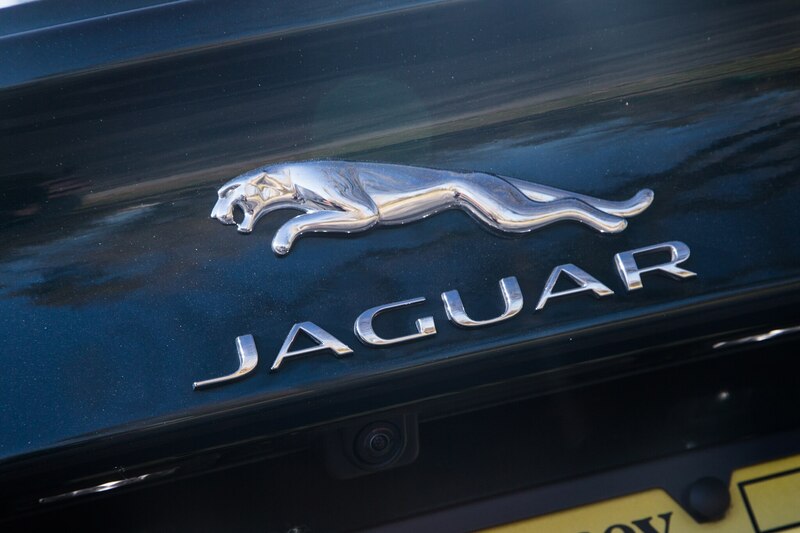 This is a very different tack compared to the more emotional F-Pace and individualistic XJ, which distinguish themselves from their rivals more clearly. 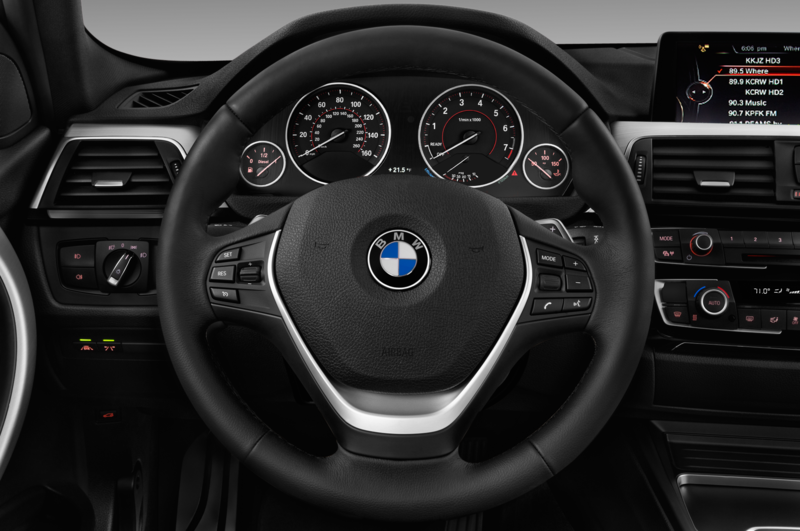 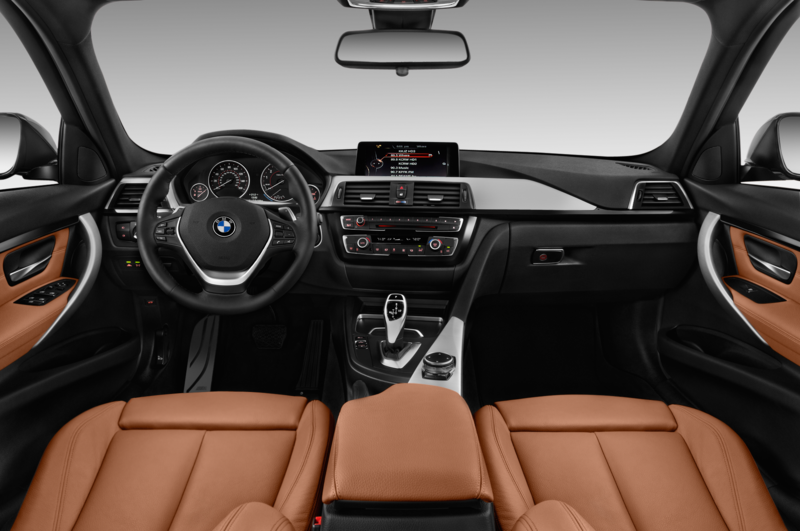 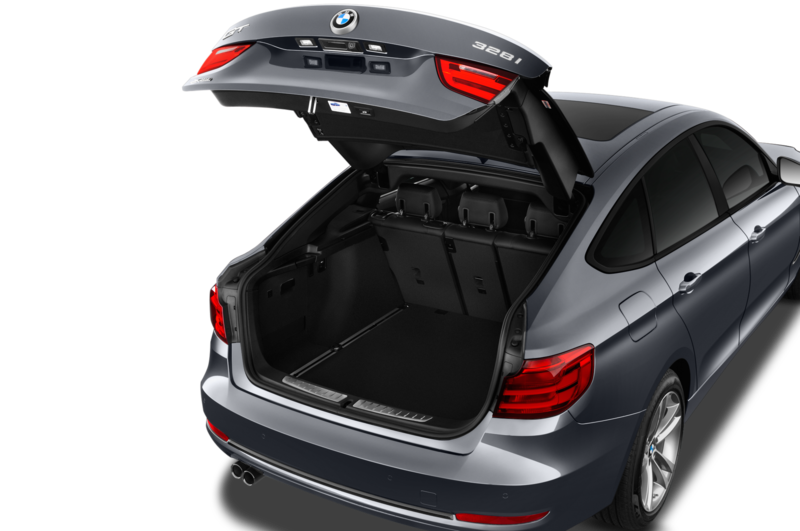 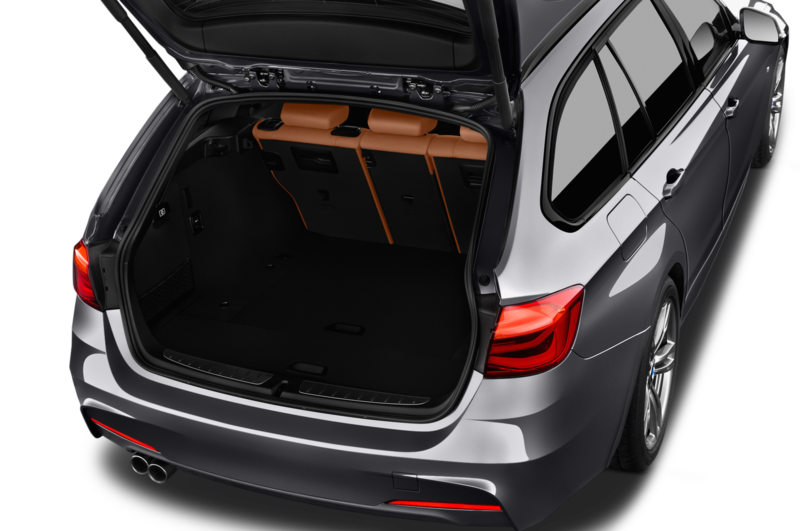 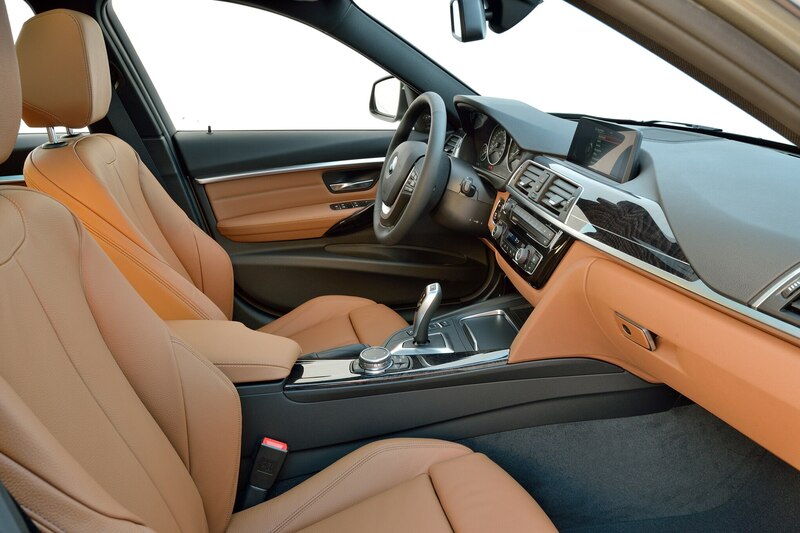 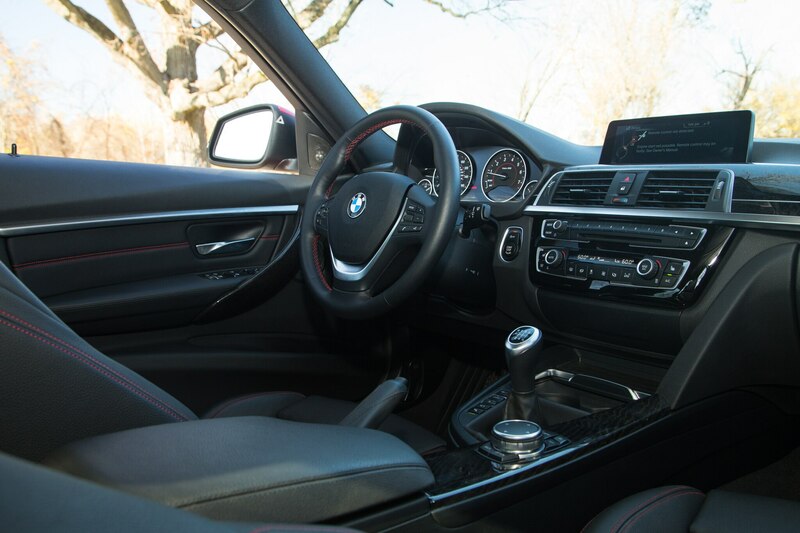 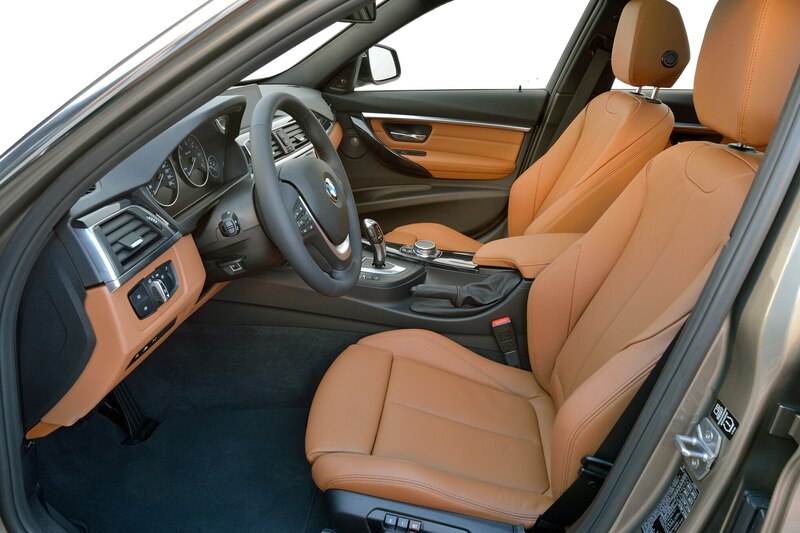 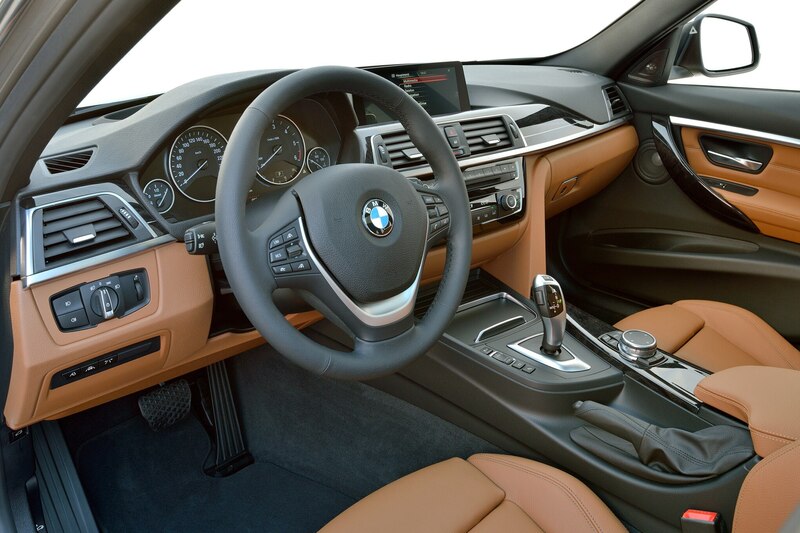 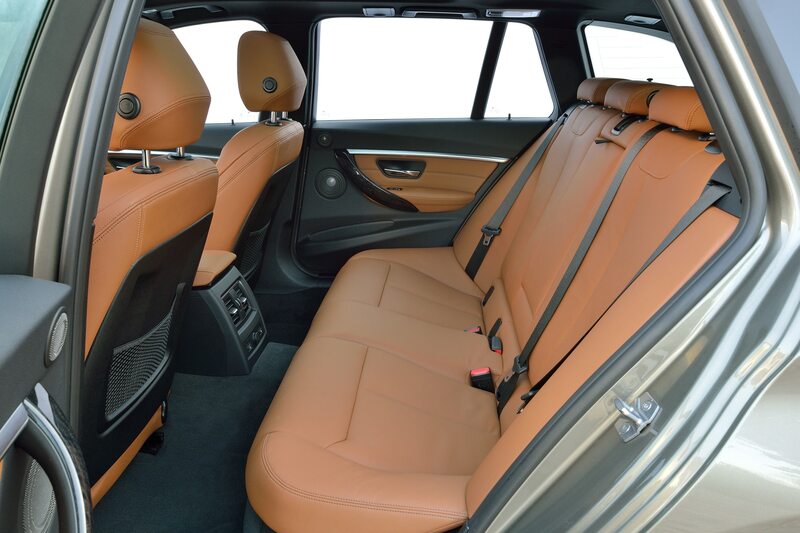 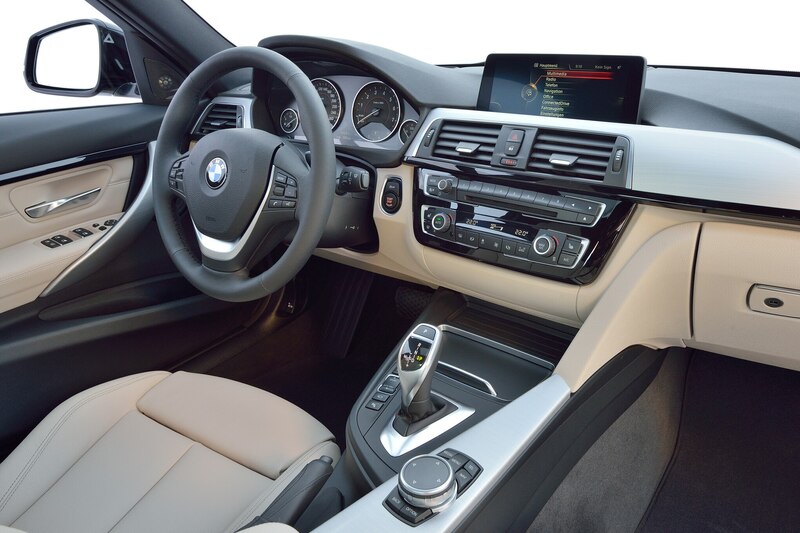 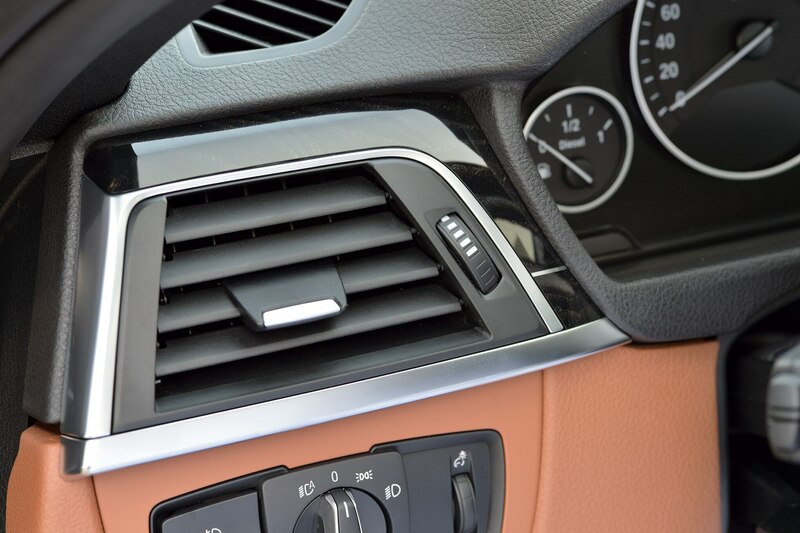 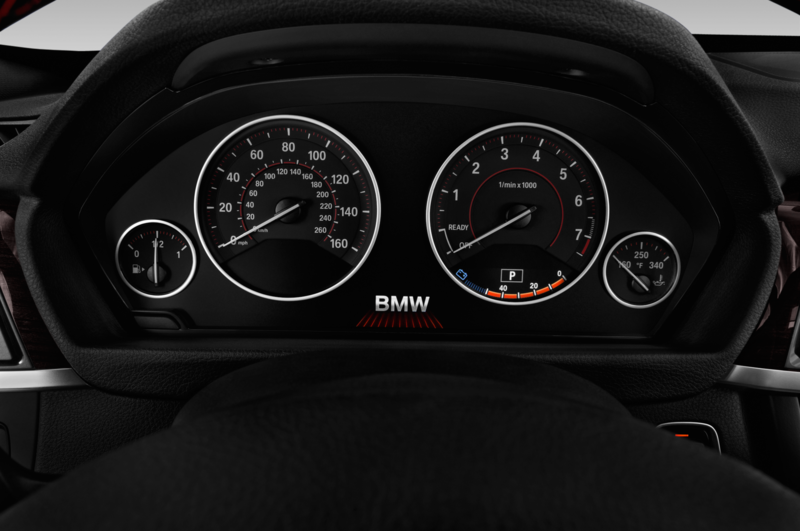 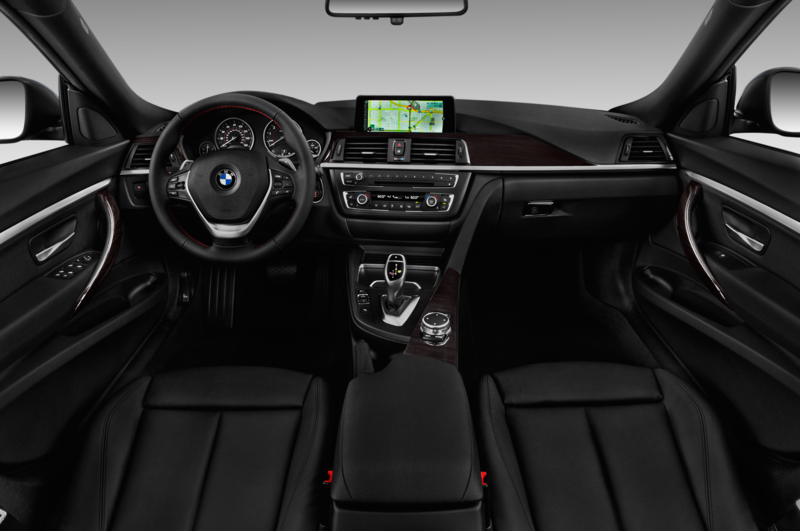 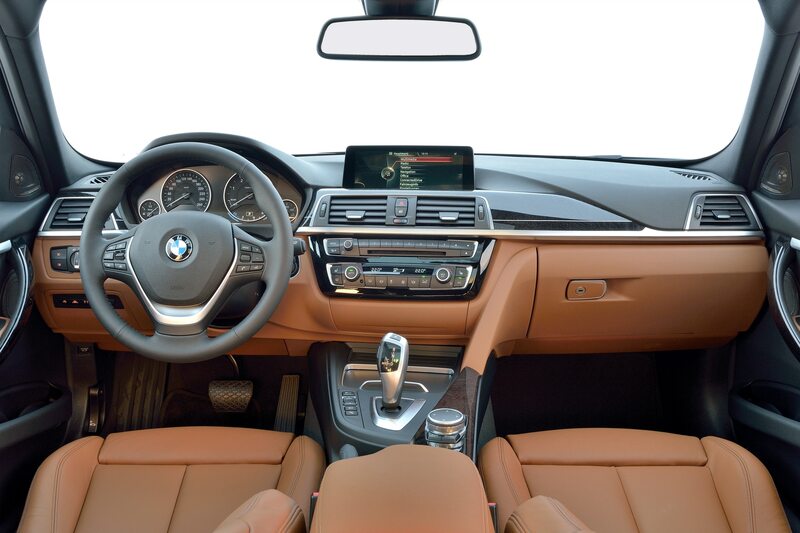 The Bimmer’s interior won’t blow you away with its elegance or design, but there’s an order and logic to the experience that works nicely. 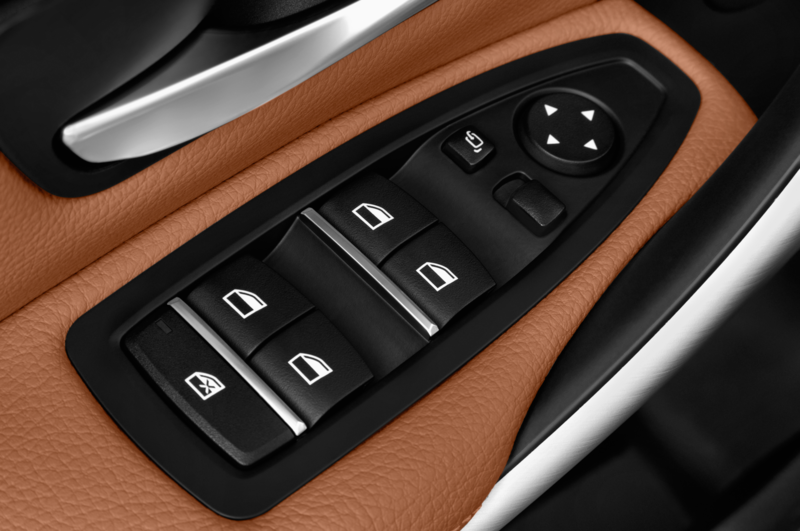 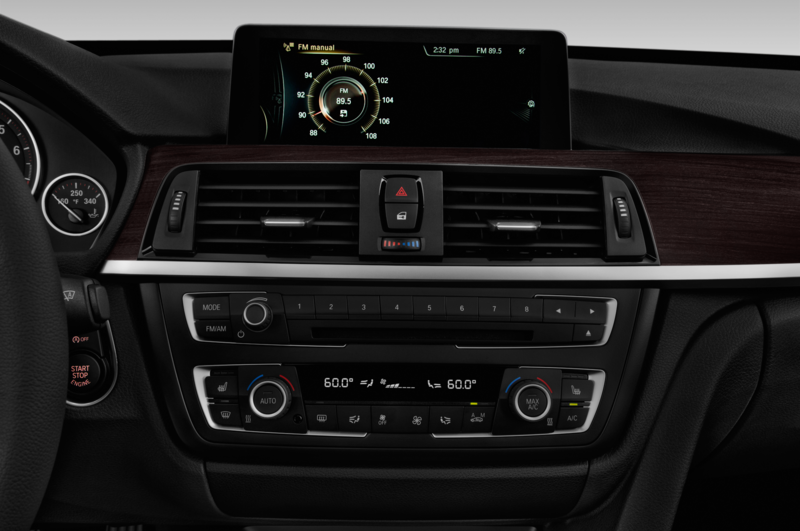 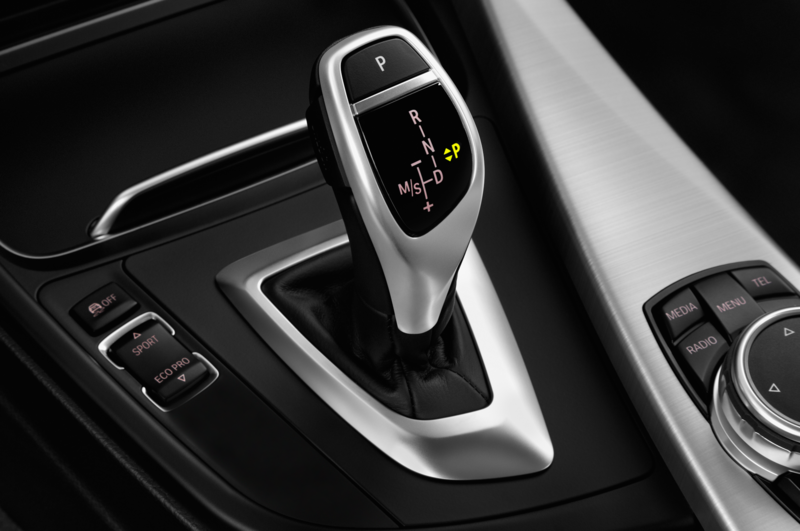 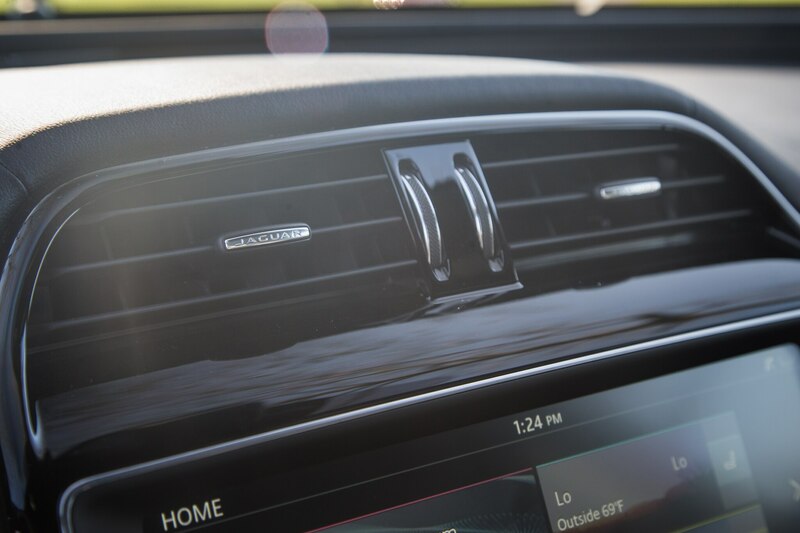 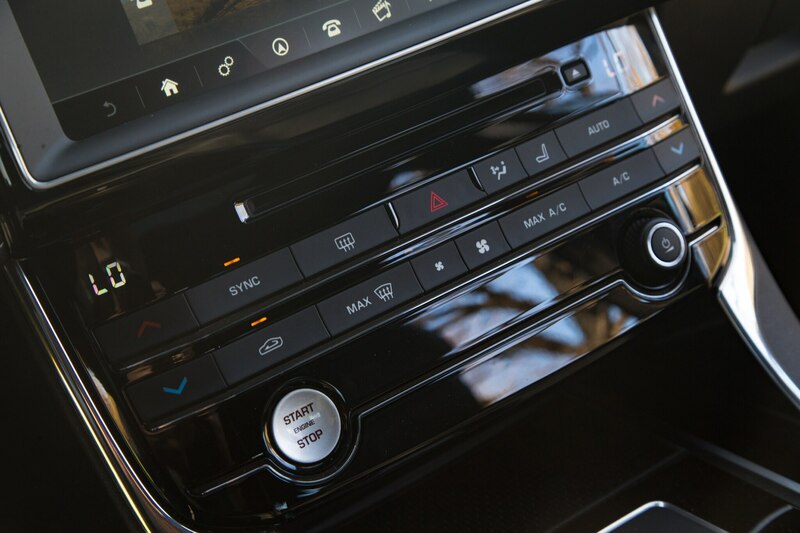 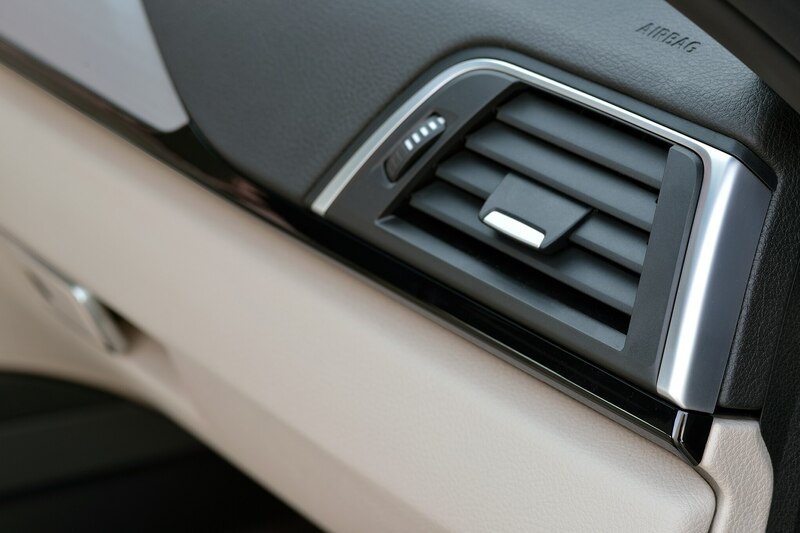 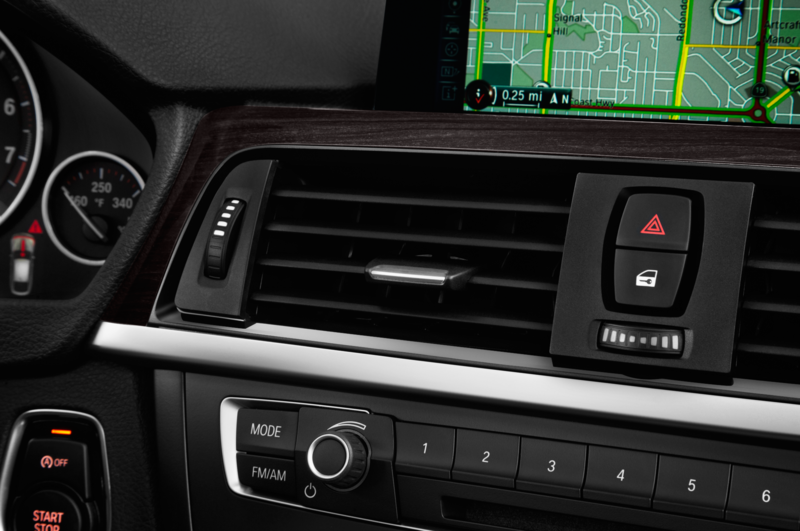 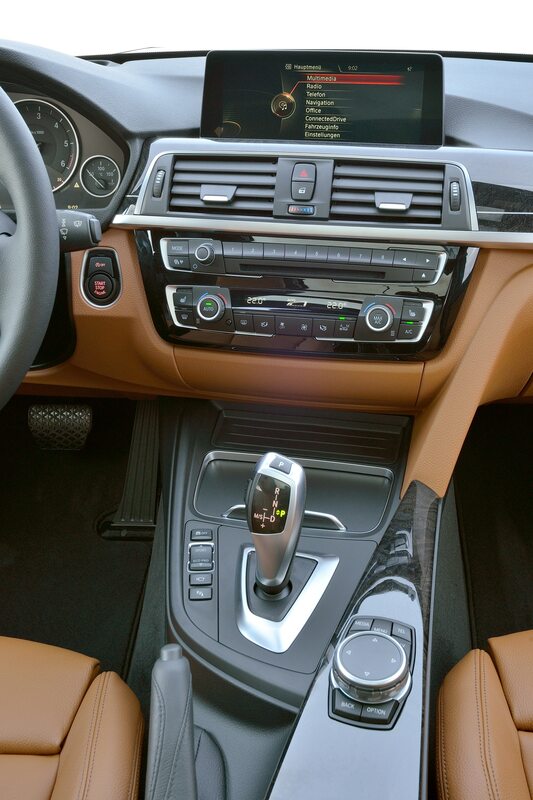 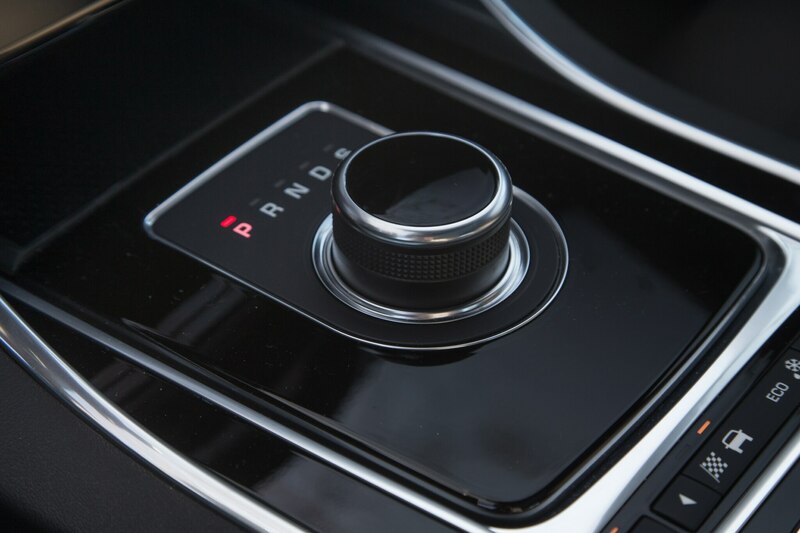 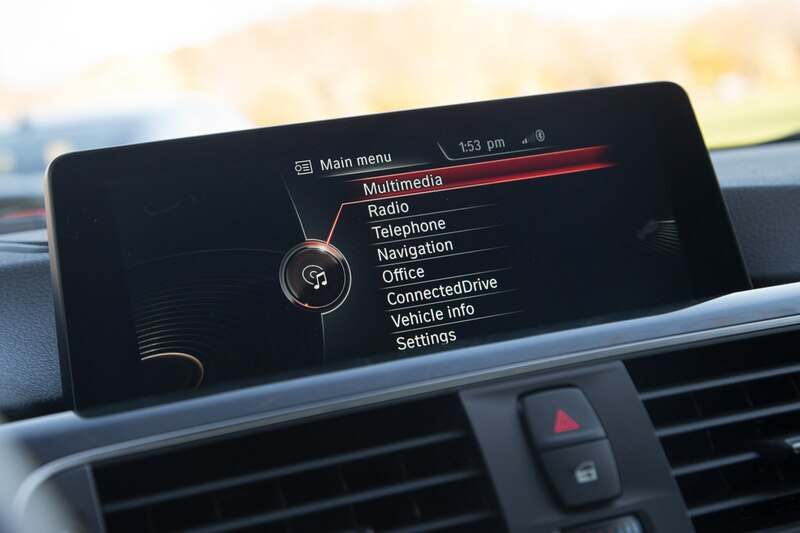 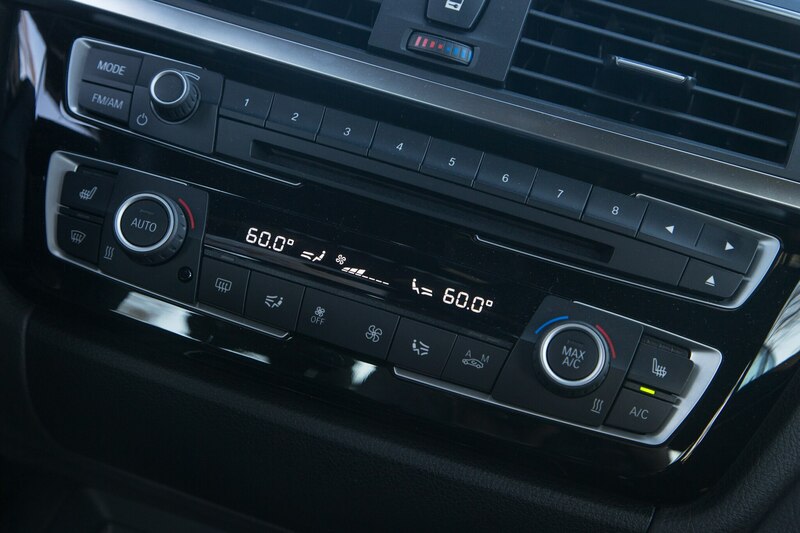 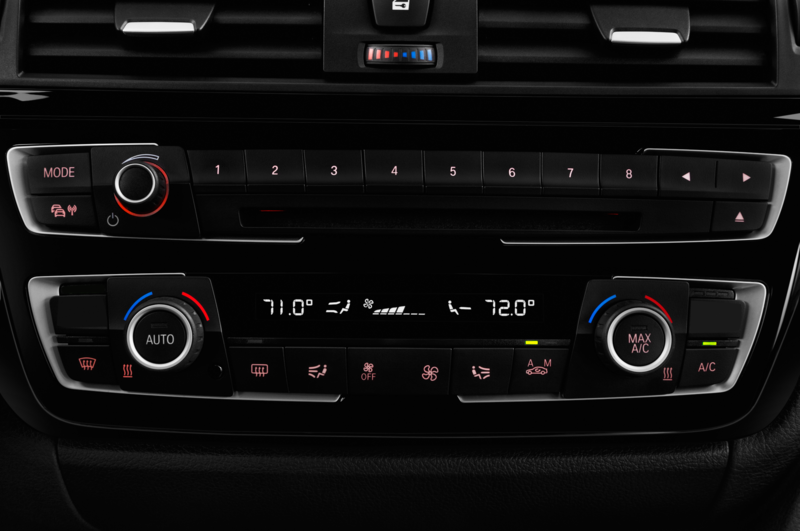 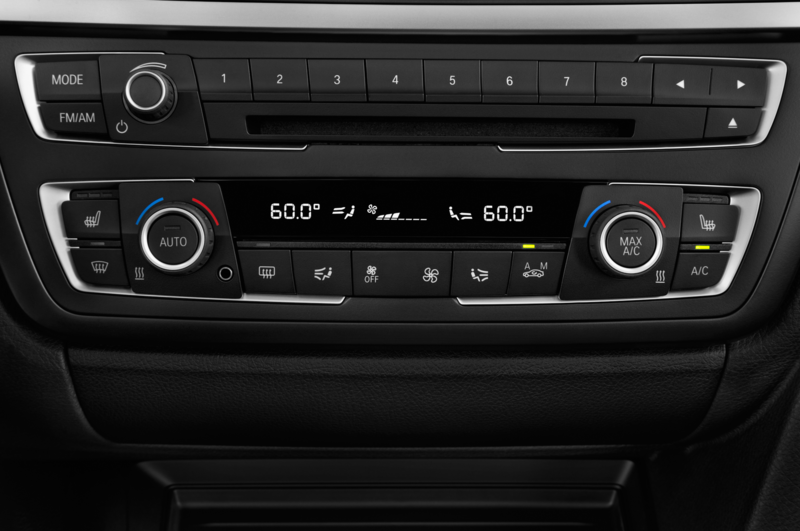 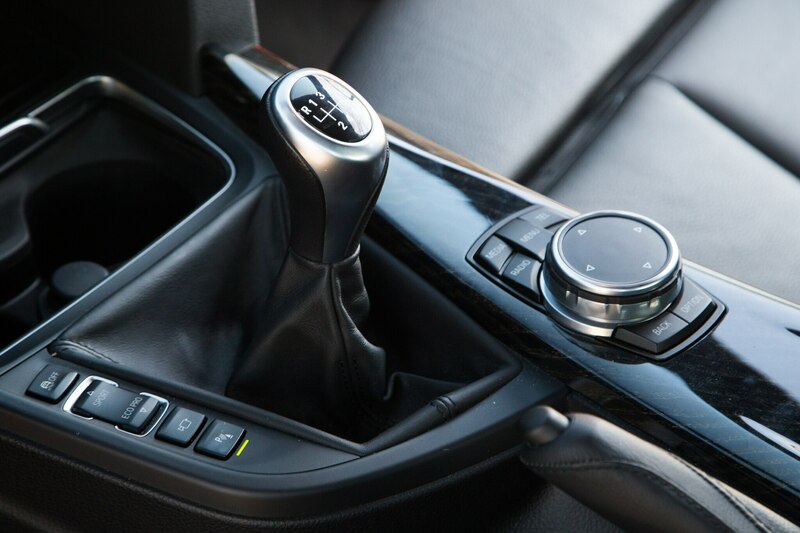 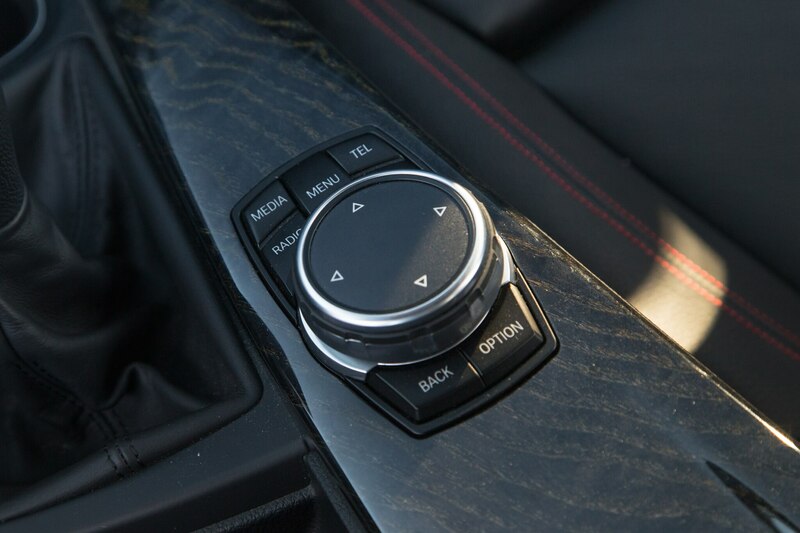 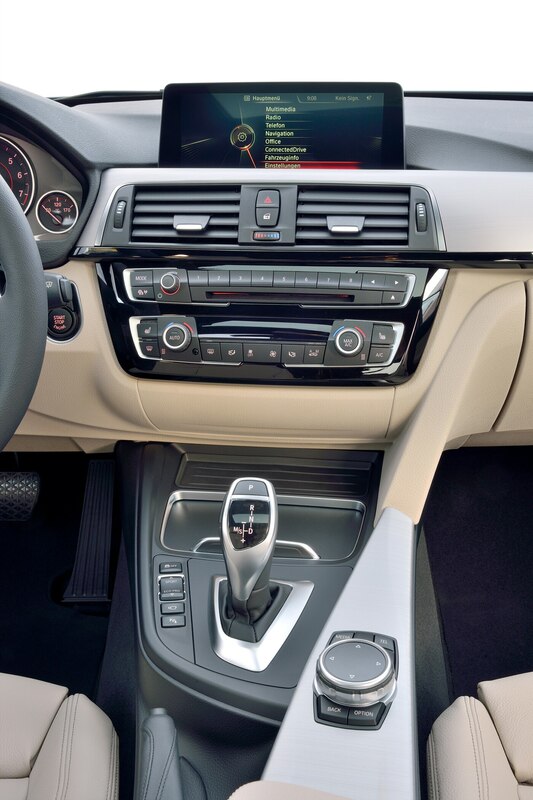 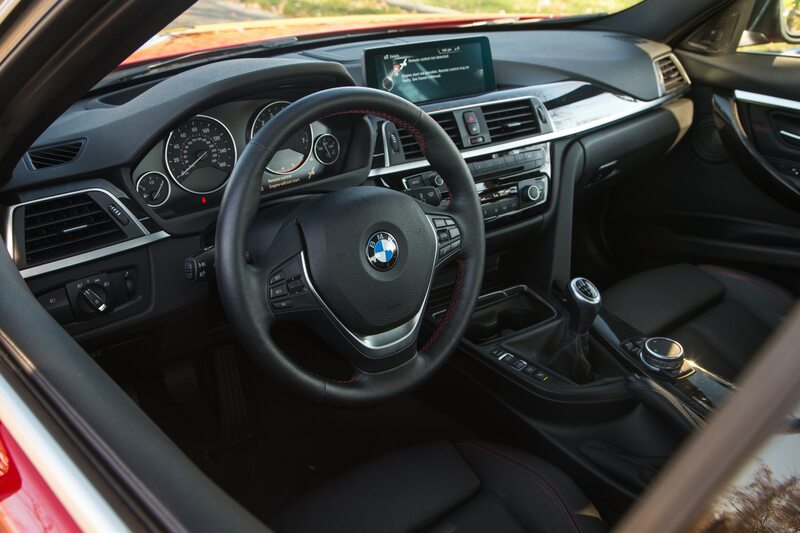 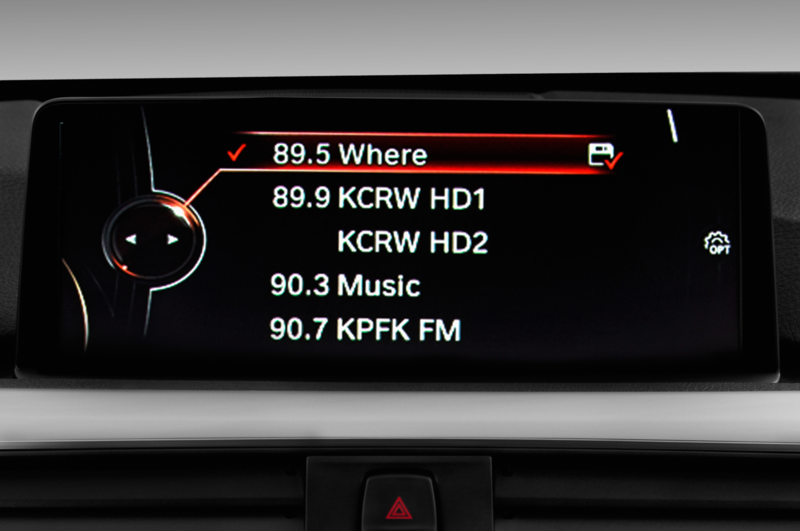 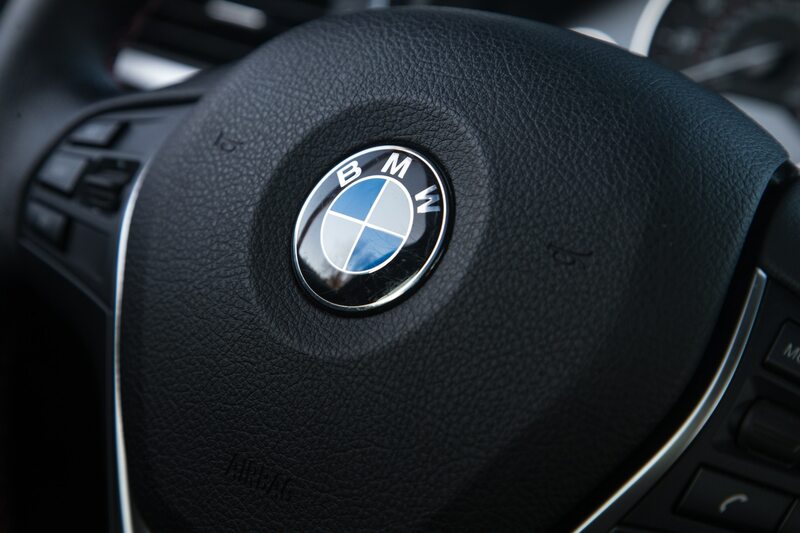 BMW’s iDrive system isn’t the best in the business but it works smoothly, and the center stack’s physical control knobs and buttons are much appreciated. 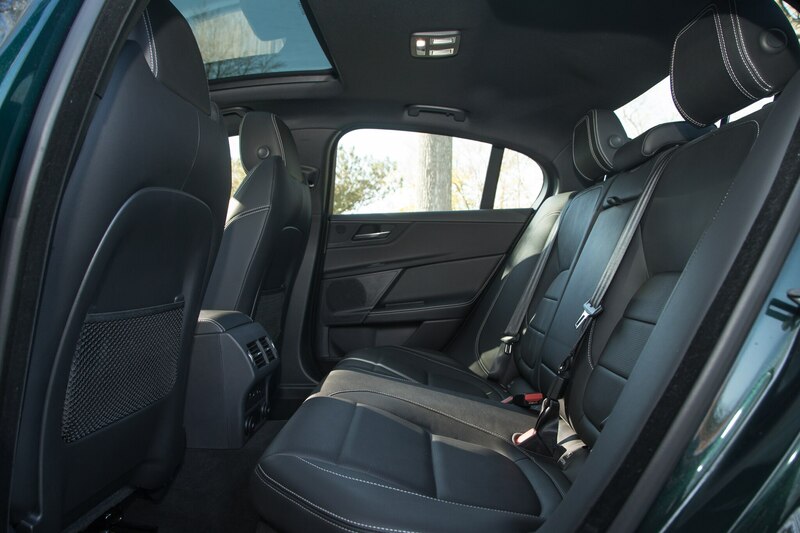 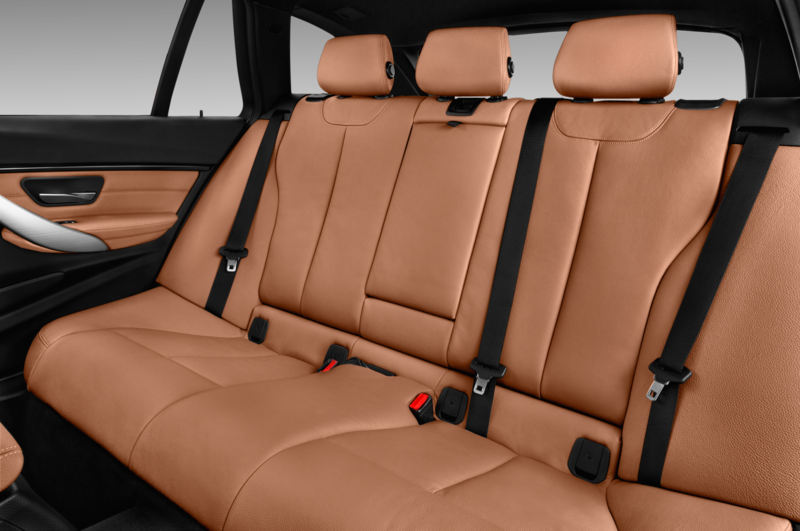 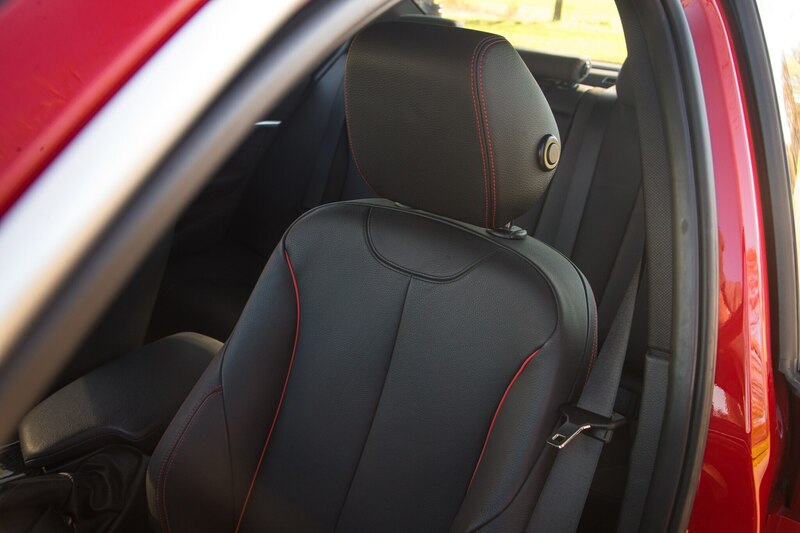 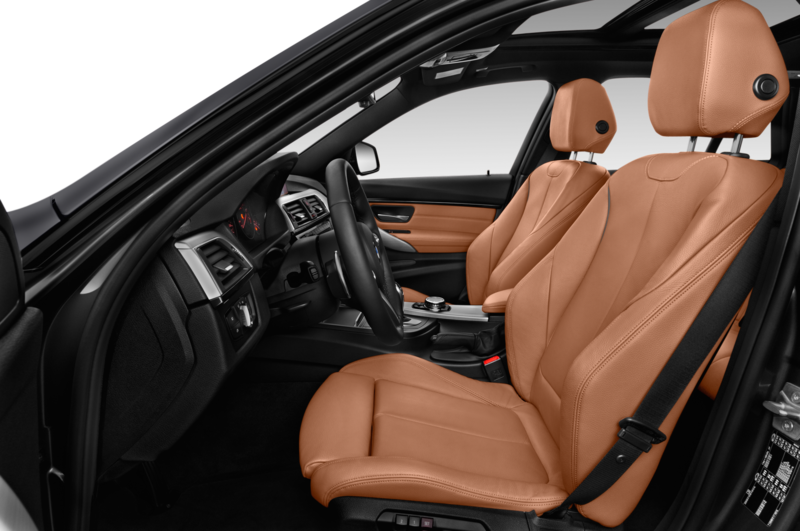 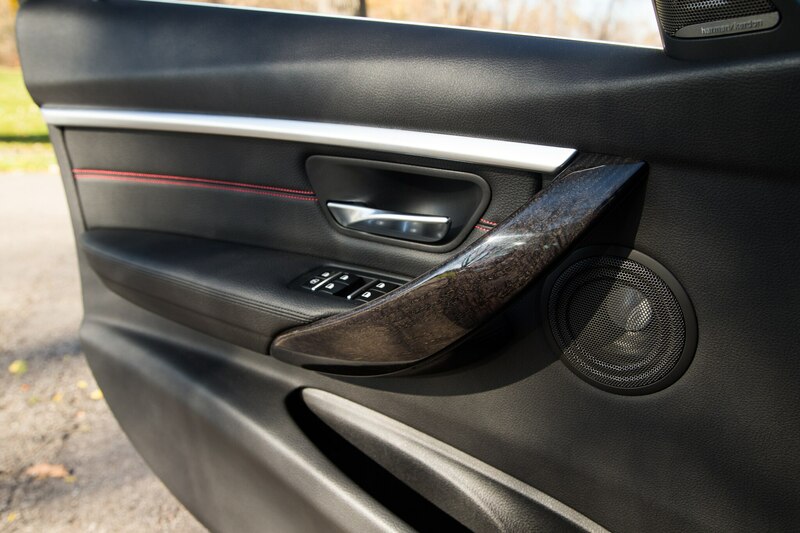 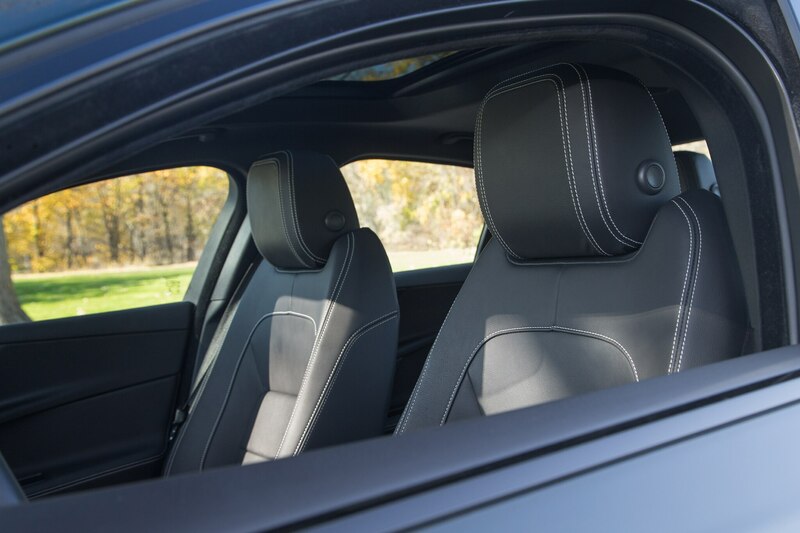 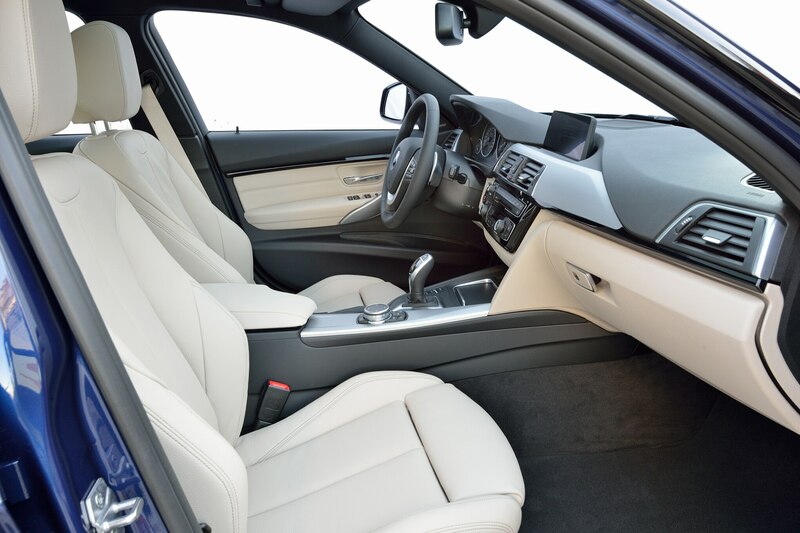 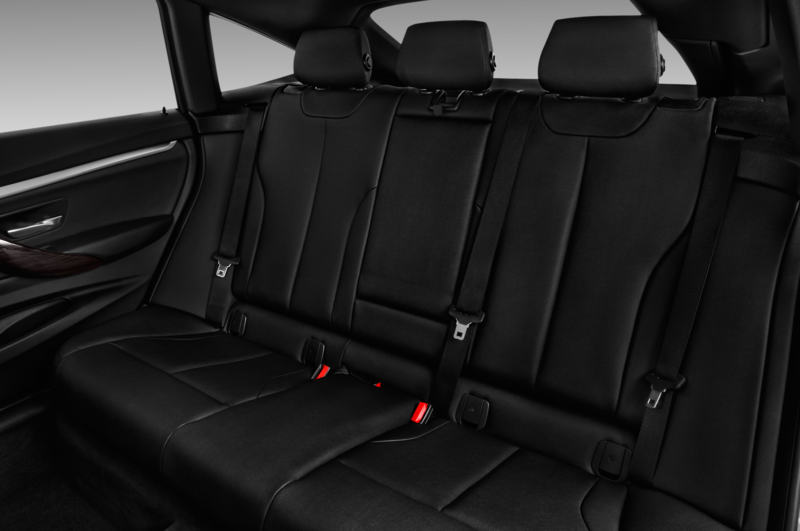 The snug sport seats and contrasting red trim are more befitting of a sport sedan than the dark burl wood trim, but that’s of little consequence compared to the XE’s disappointing cabin. 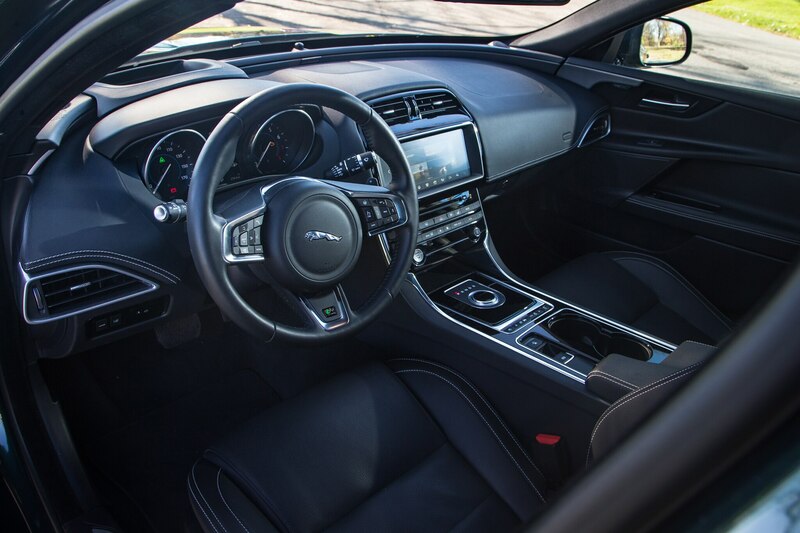 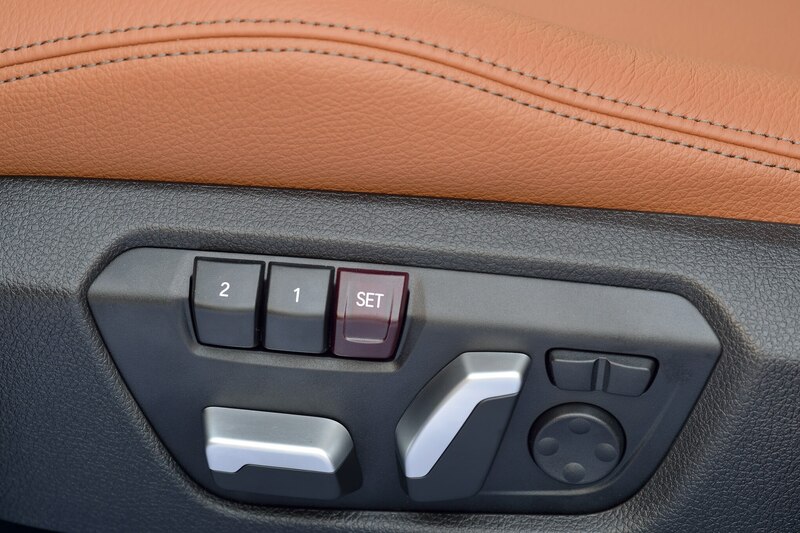 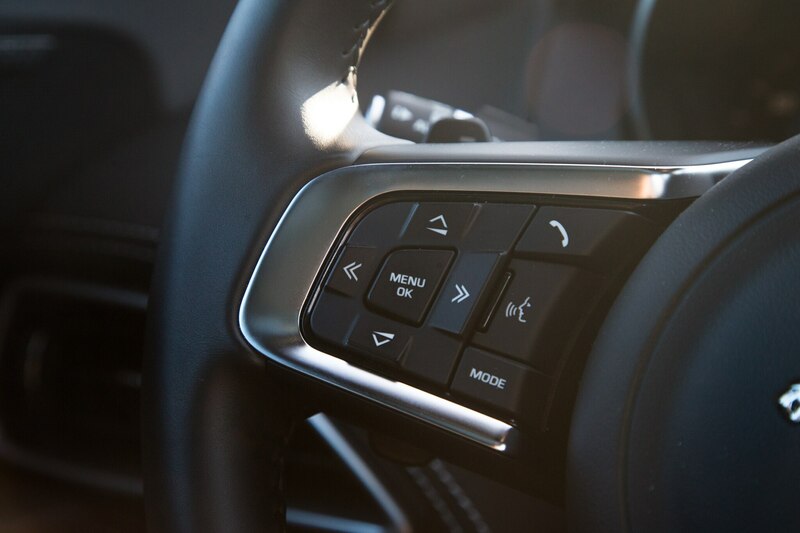 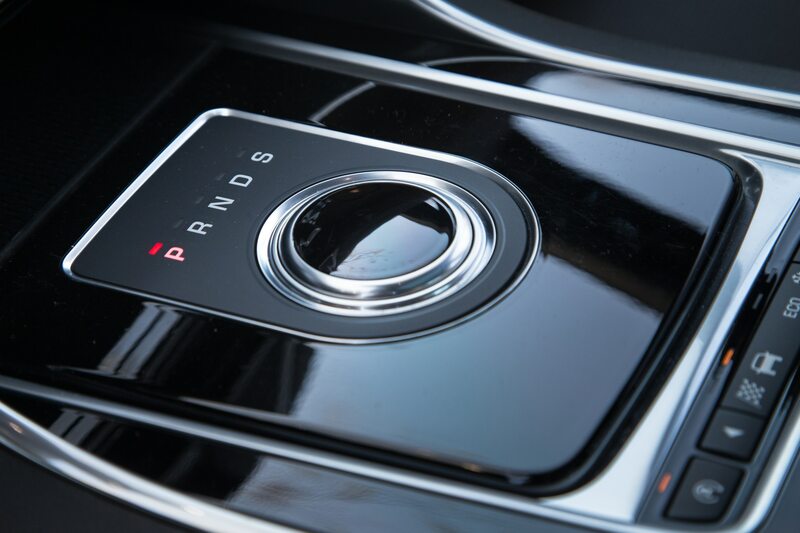 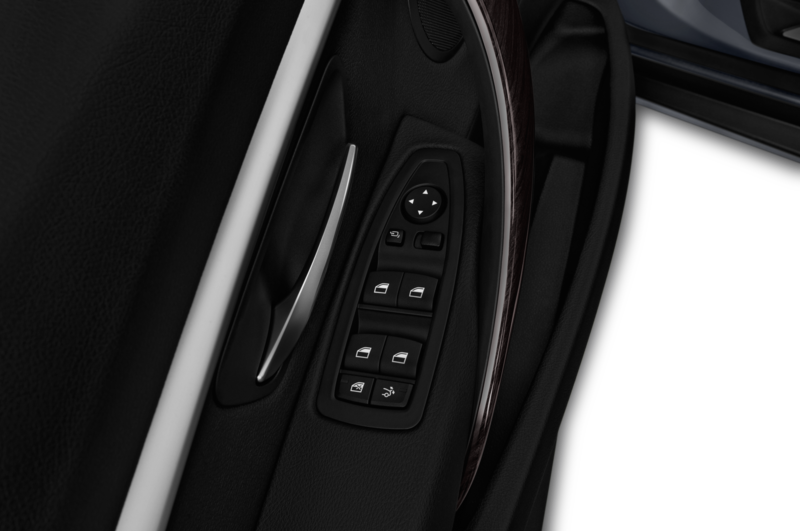 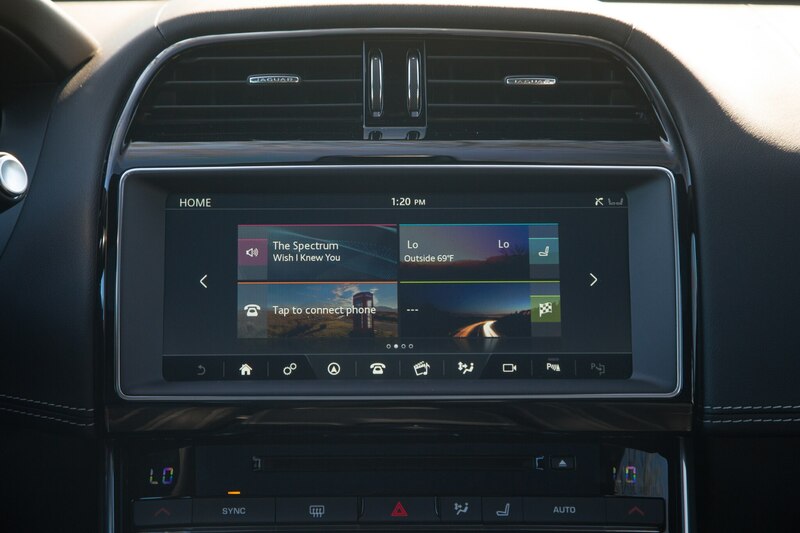 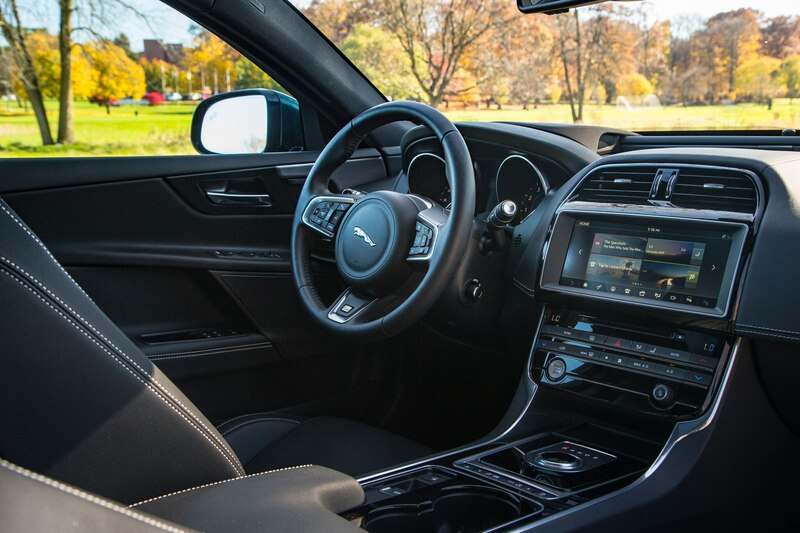 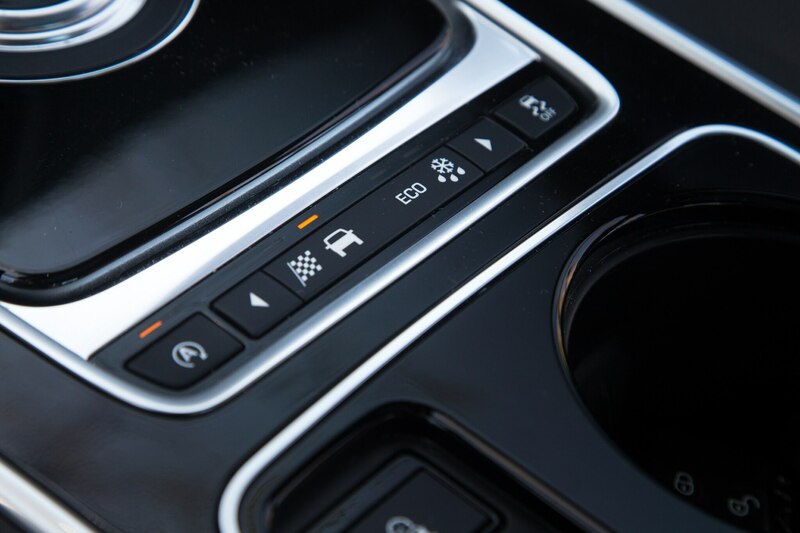 Not only is the Jag’s all-new InControl Touch Pro system prone to freezing, blacking out, and slow responses, it’s also clunkier to use than iDrive and more difficult to operate while driving. 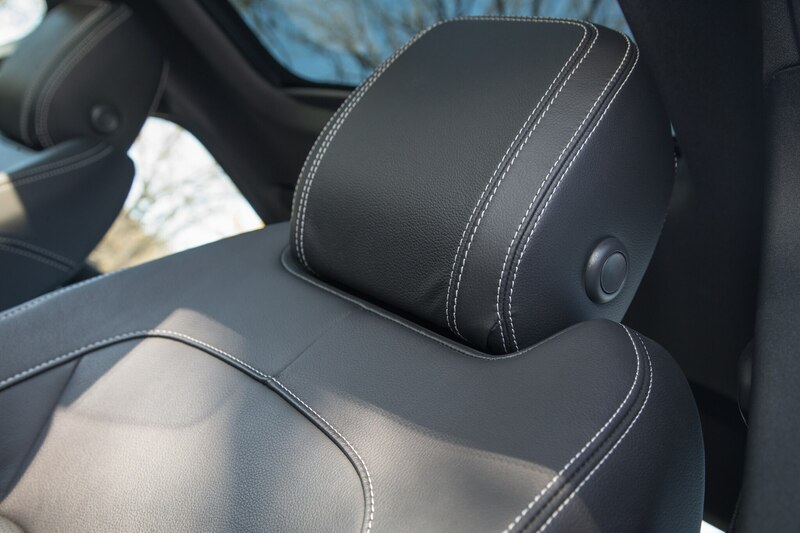 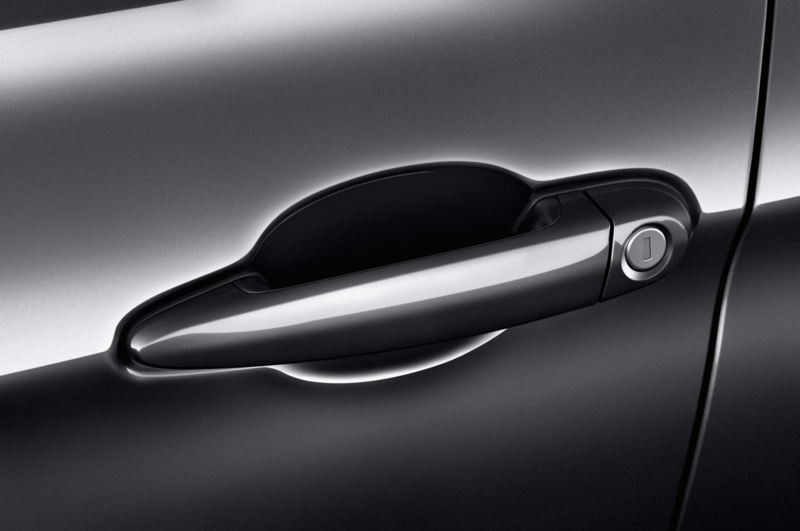 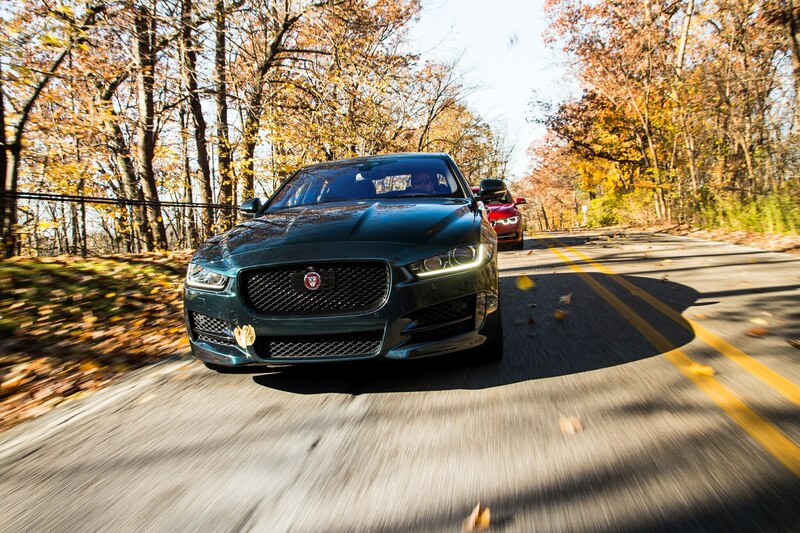 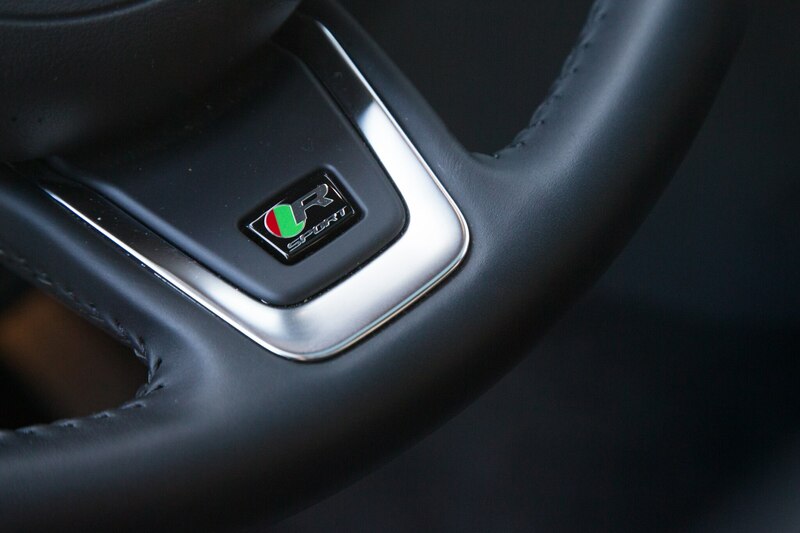 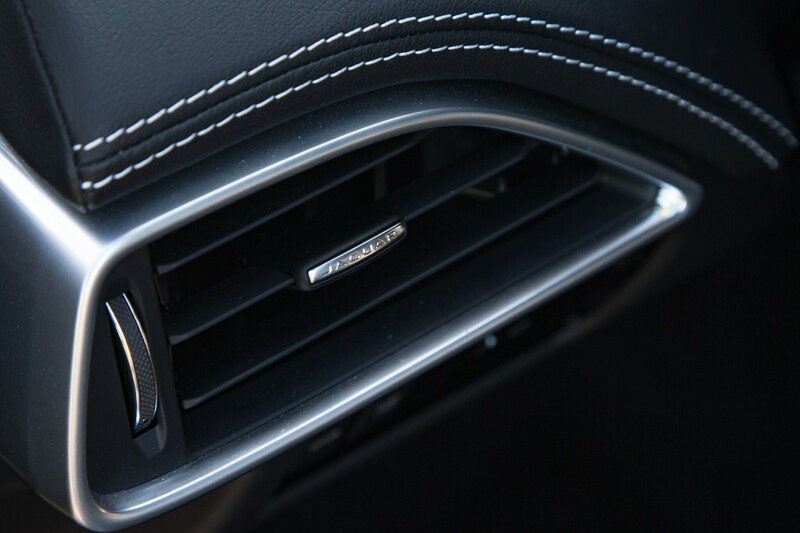 Overall materials in the Jaguar feel cheap, too. 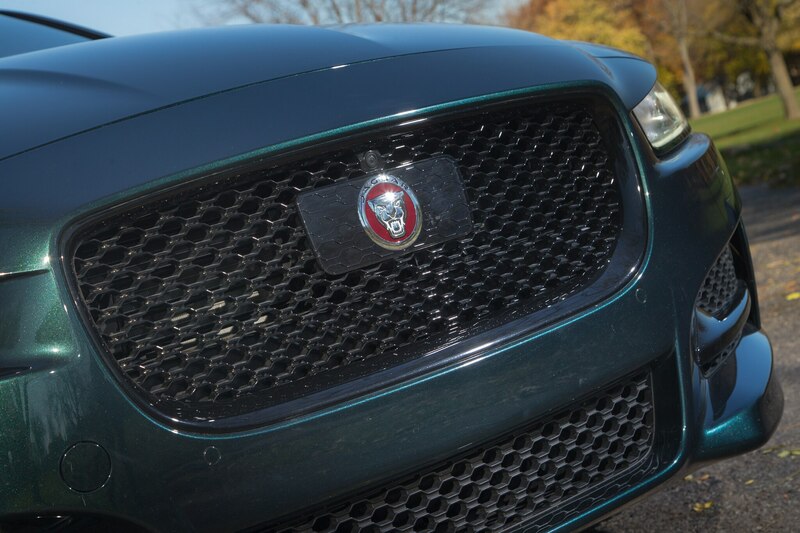 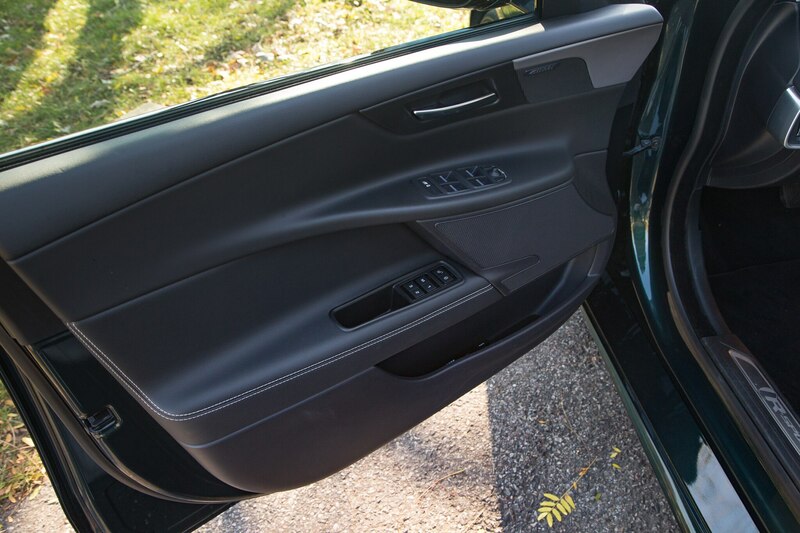 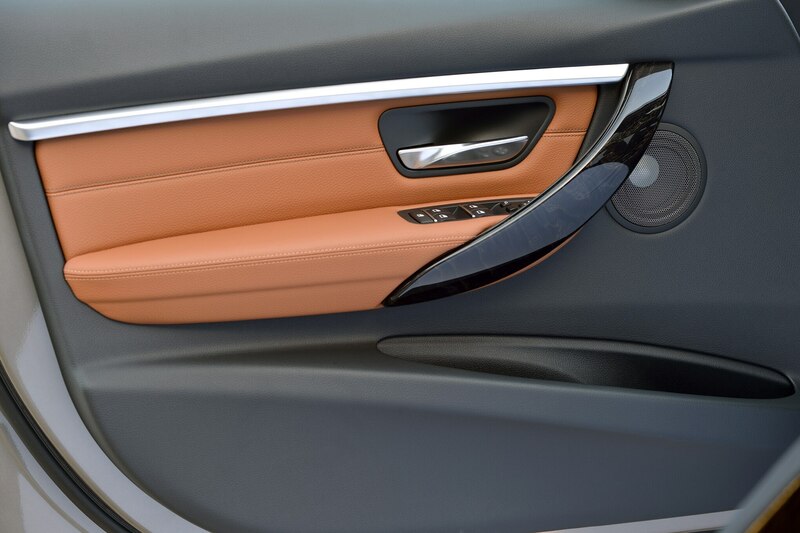 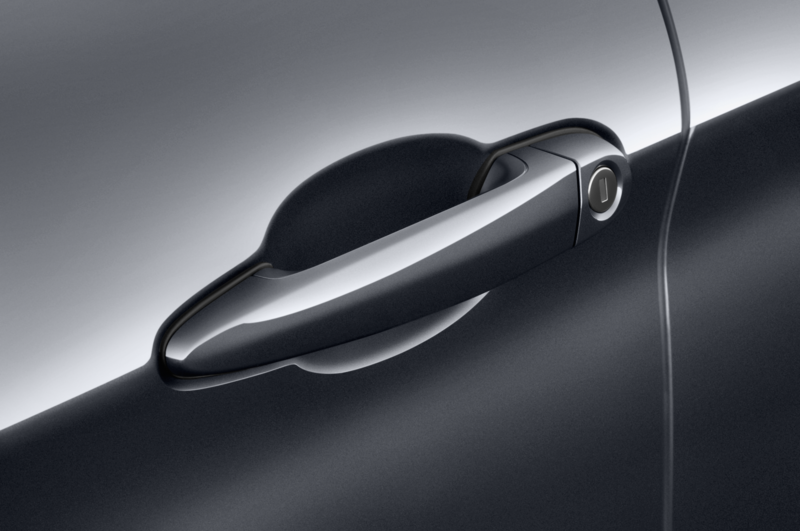 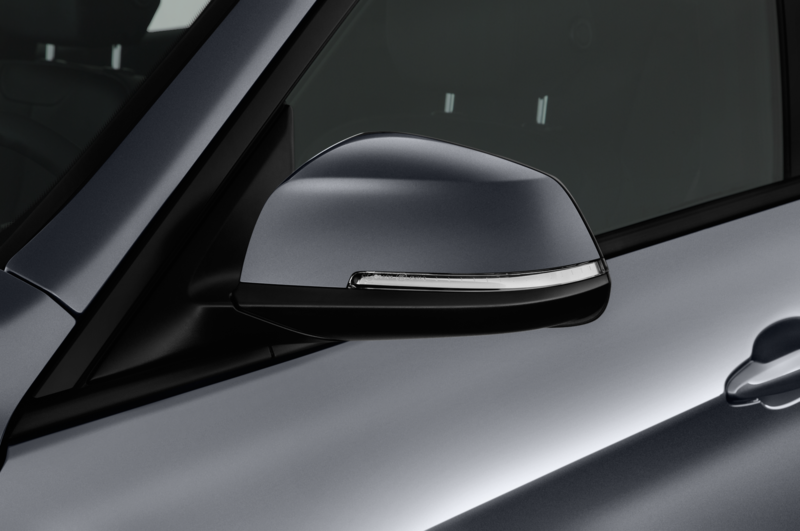 From the hollow-feeling door cards to the cheap plastic and bland design, the XE is a missed opportunity to incorporate some of the British character that charms so effectively in the full-size XJ. 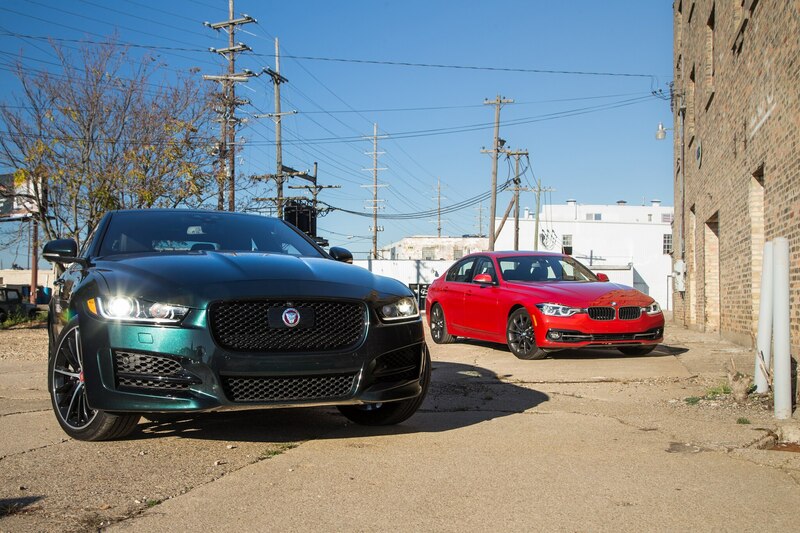 With a 3.0-liter supercharged V-6 beating under the hood, the XE 35t is squarely aligned with the refreshed 340i and its all-aluminum, 3.0-liter turbocharged straight-six. 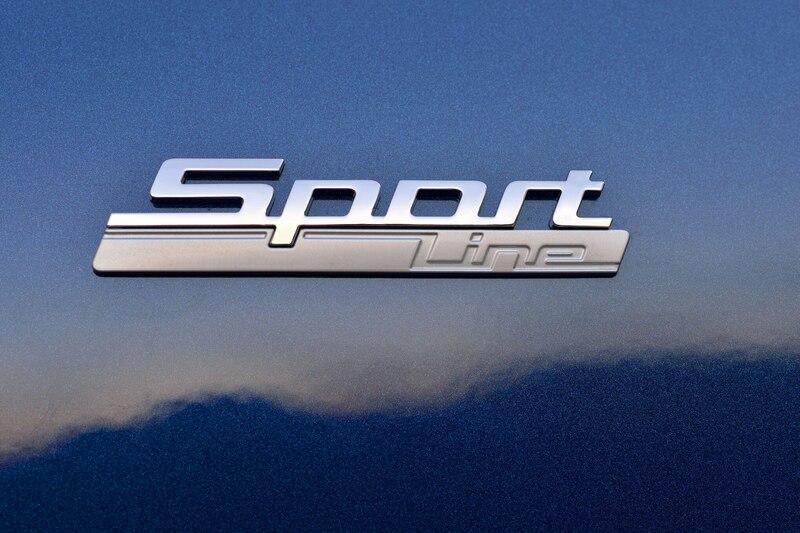 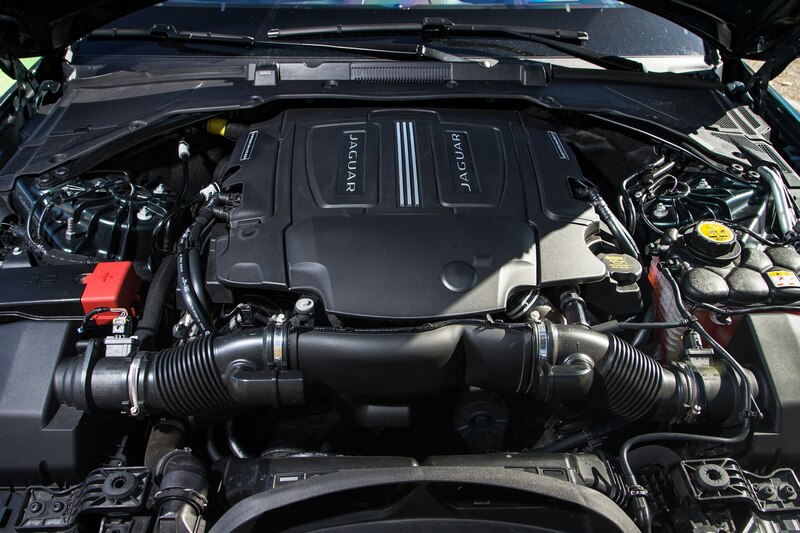 (The differences will be further reduced when Jaguar introduces its all-aluminum Ingenium inline-six.) 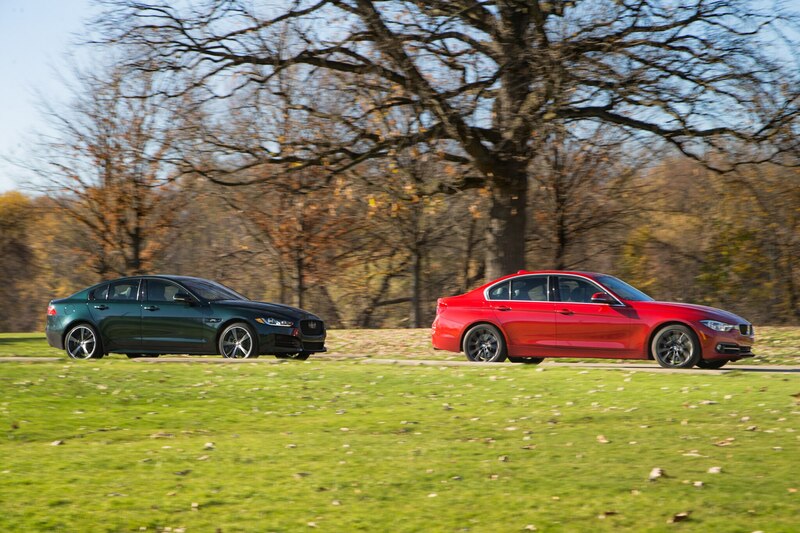 Like automatic versions of the 3 Series, the XE uses a ZF eight-speed automatic transmission, in this case sending 340 hp and 332 lb-ft of torque to the rear wheels unless the system detects slip, in which case it can engage the front wheels as well. 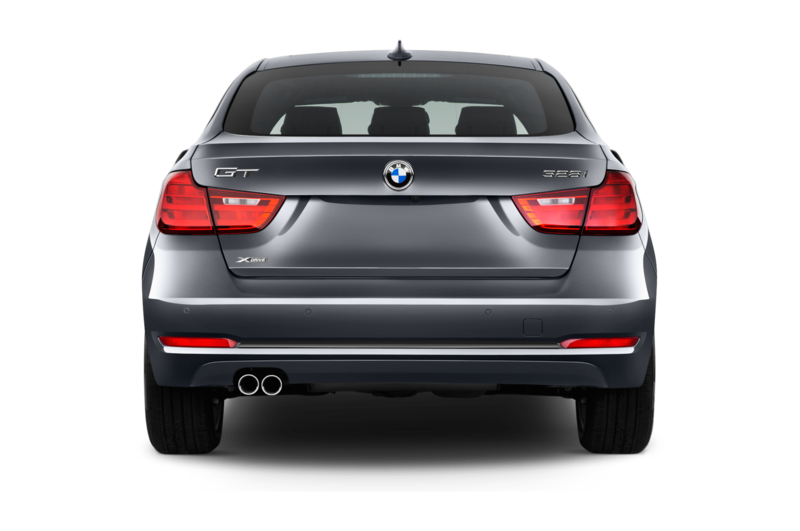 The engine is definitely powerful, but the exhaust is a bit underwhelming and there isn’t much to enjoy at light or moderate load, where the V-6 feels a bit coarse. 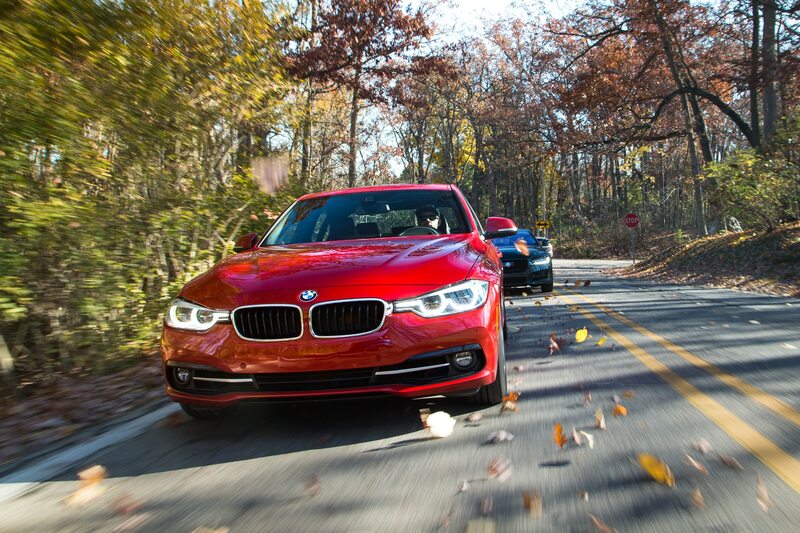 At full bore though, the supercharger whine and generous grunt deliver big smiles. 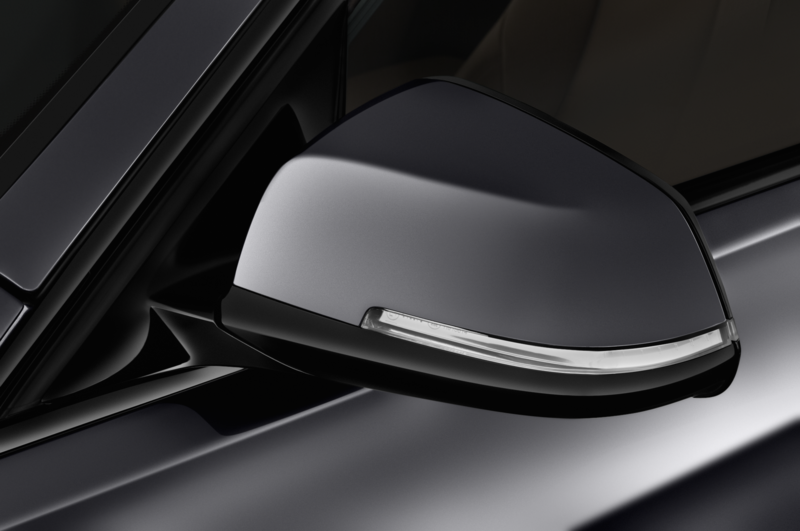 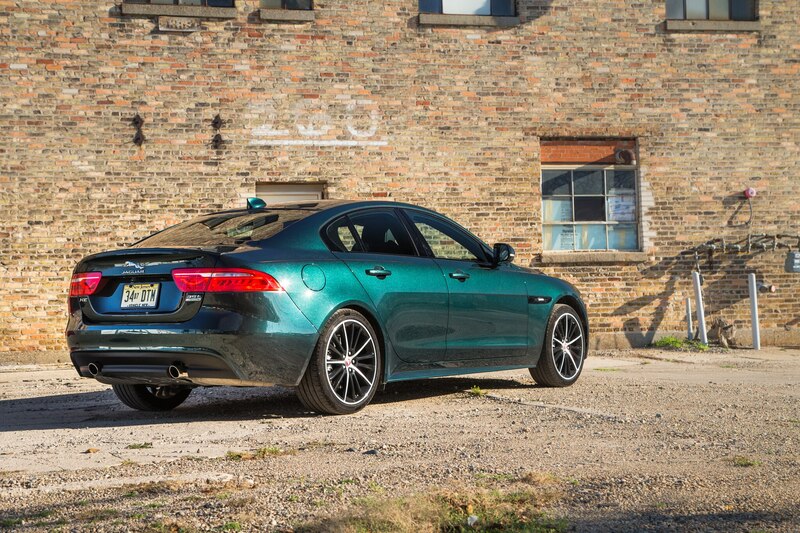 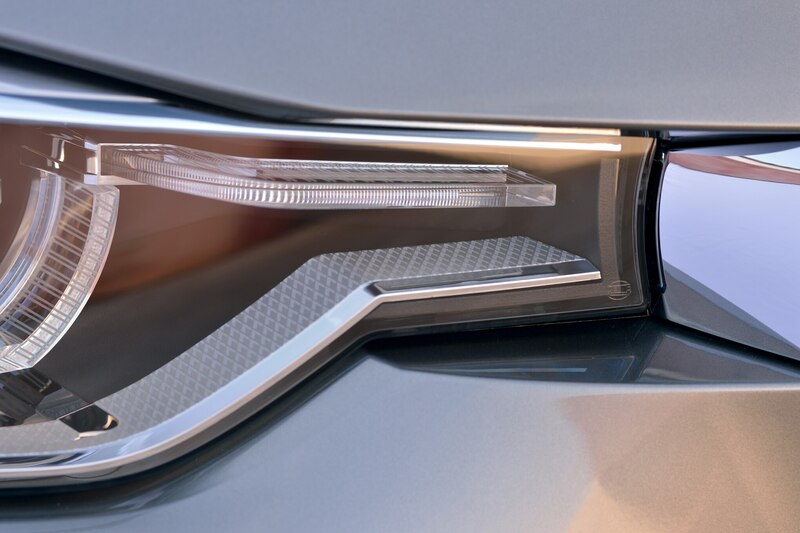 There’s a new aluminum architecture underpinning the XE, which is where Jaguar clearly invested the most effort. 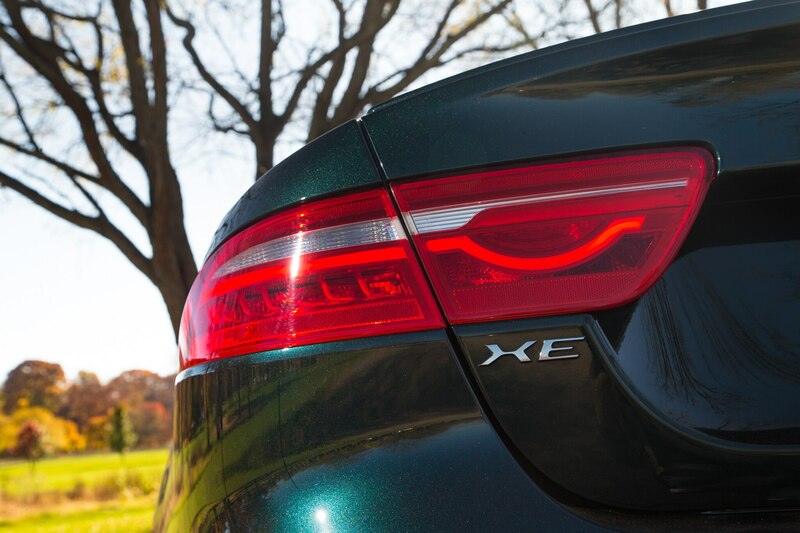 The XE is brilliant at carrying lots of speed through corners without sacrificing control, and the steering is both precise and fluid on twisty roads. 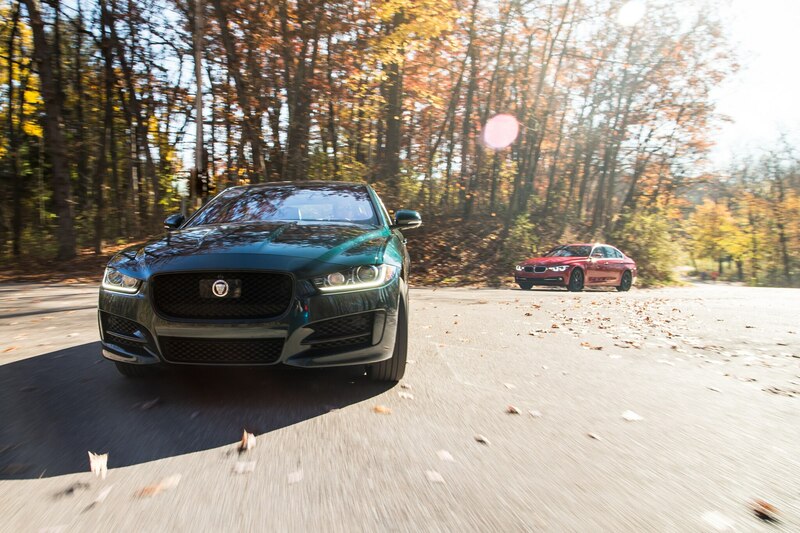 Over bumps and cracked pavement in particular, the XE should be commended for its composure. 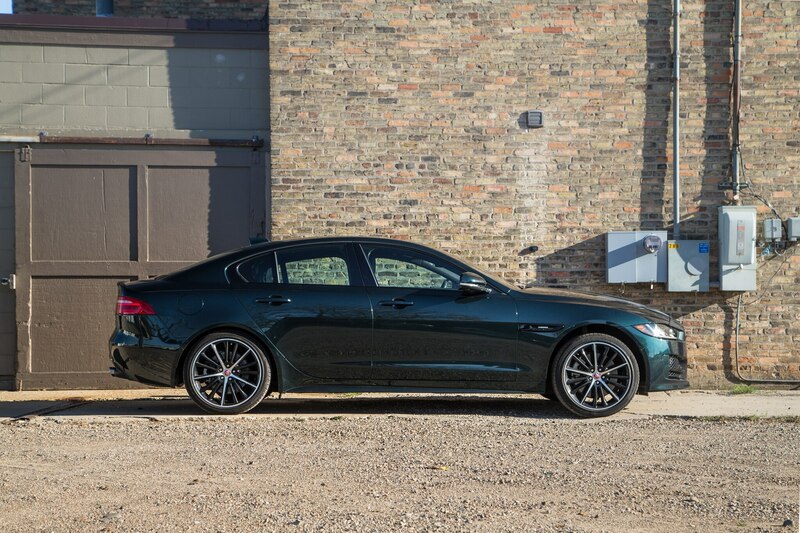 Some, however, might find the XE a little stiff on its 19-inch wheels. 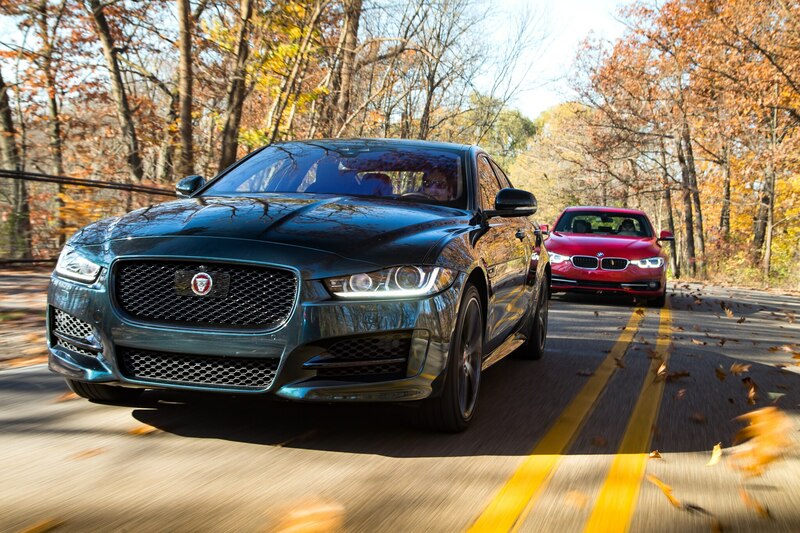 The Jaguar impresses, but it’s a close call against the refreshed 340i and its fantastic Track Handling package. 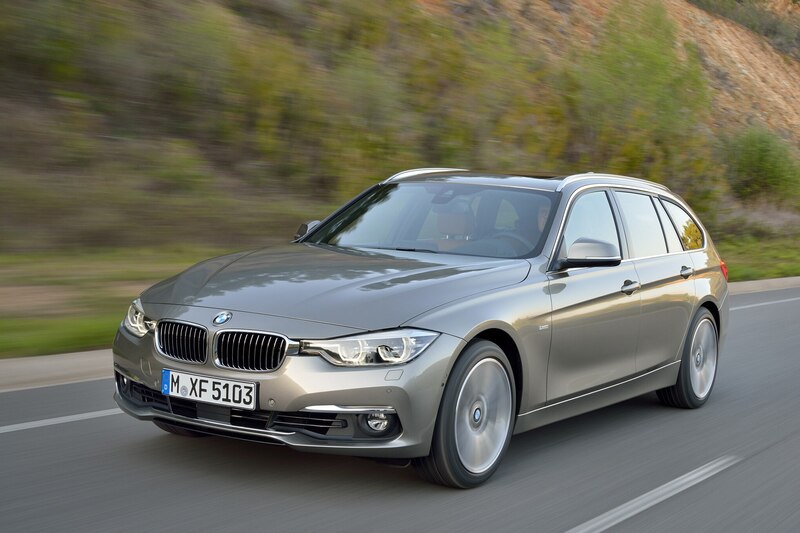 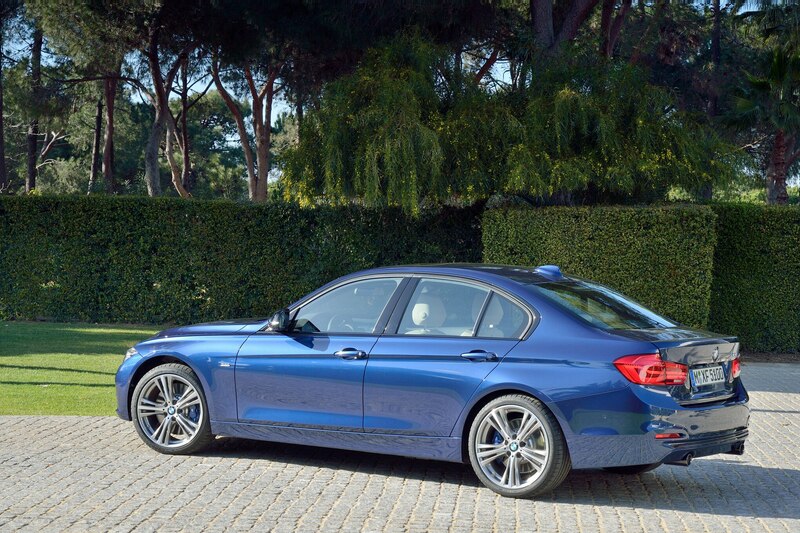 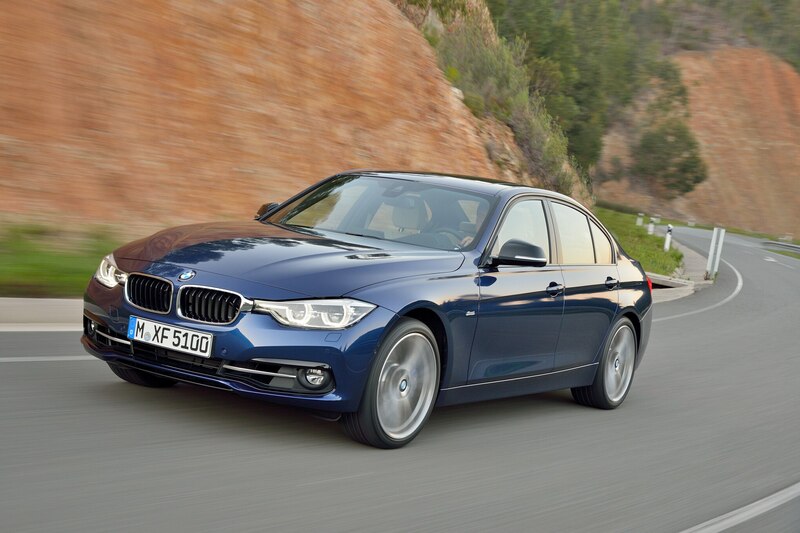 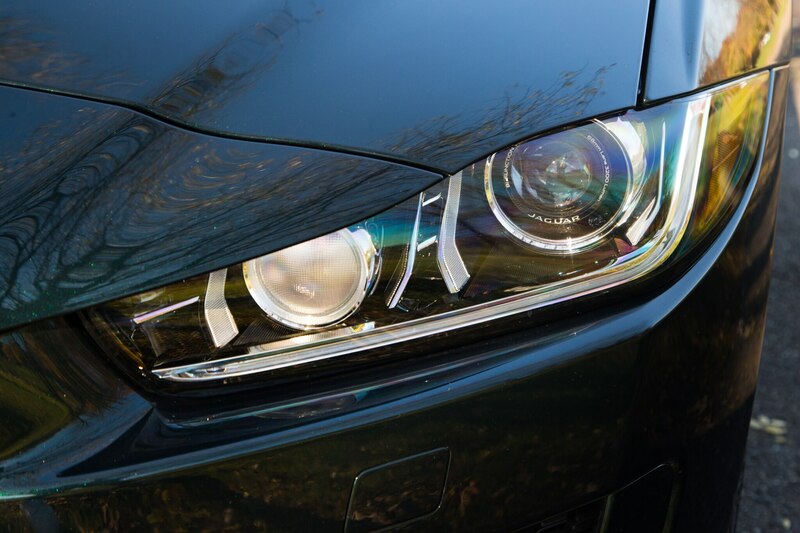 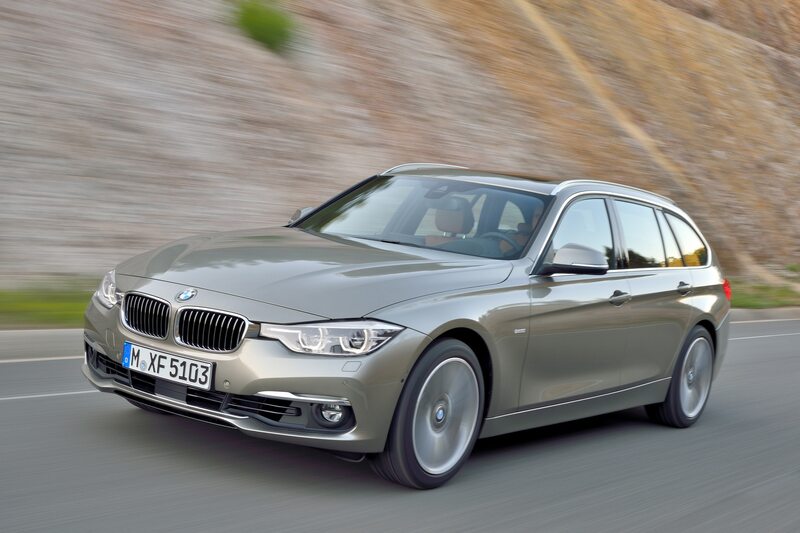 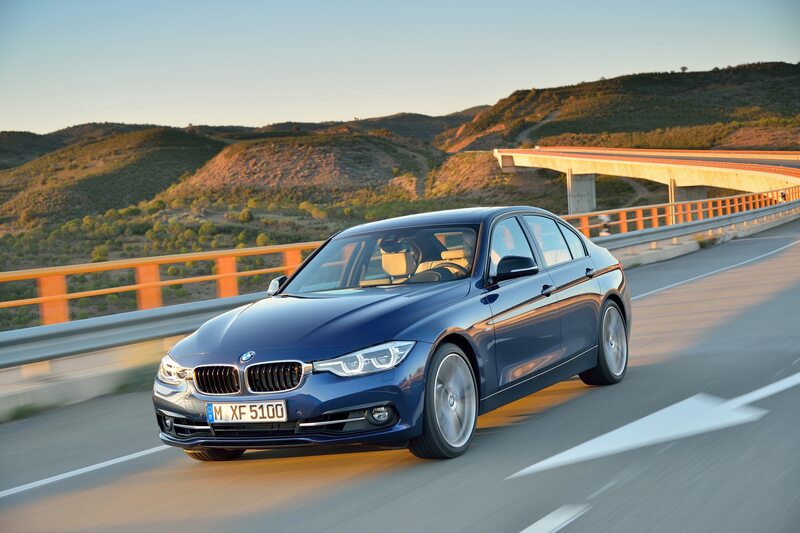 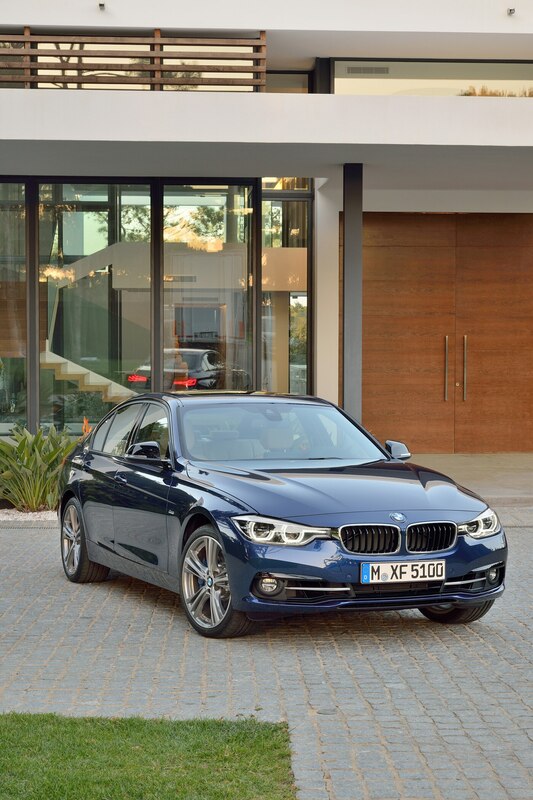 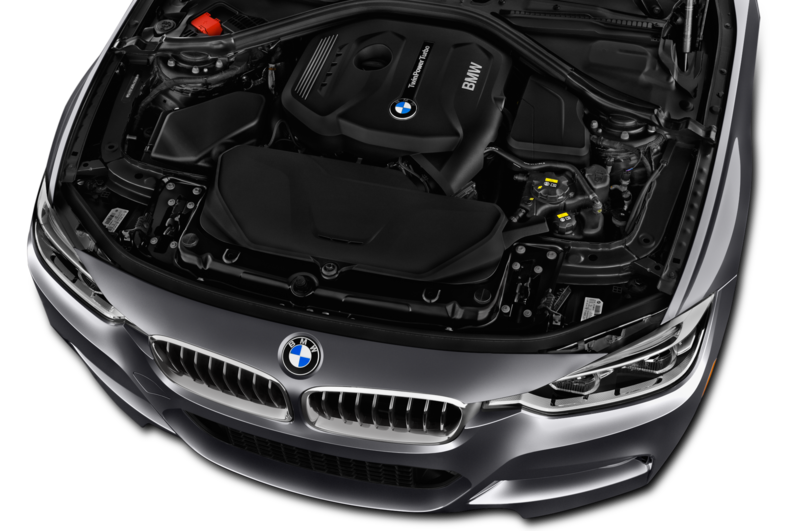 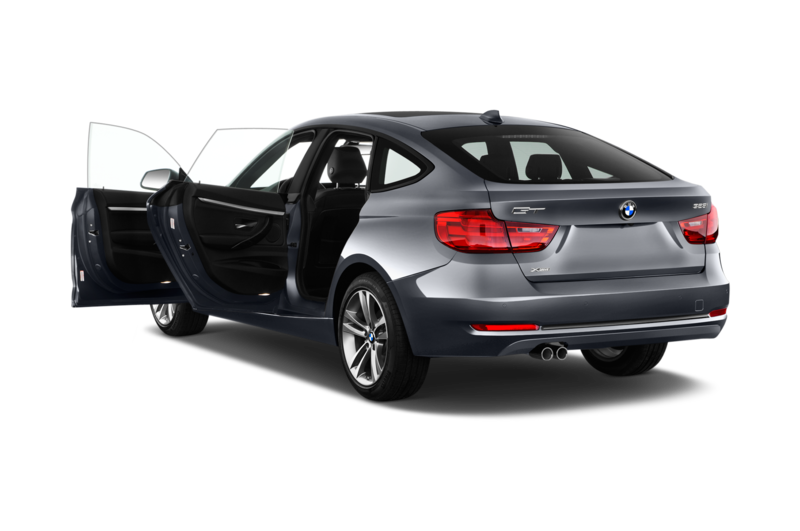 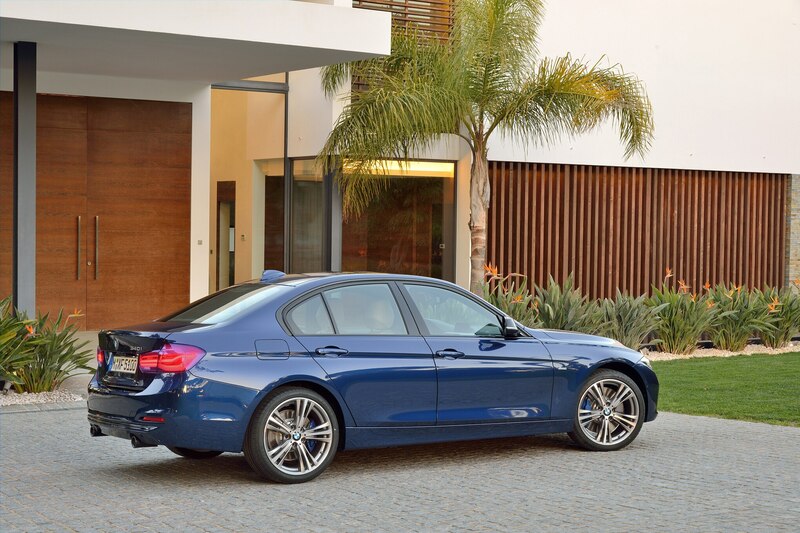 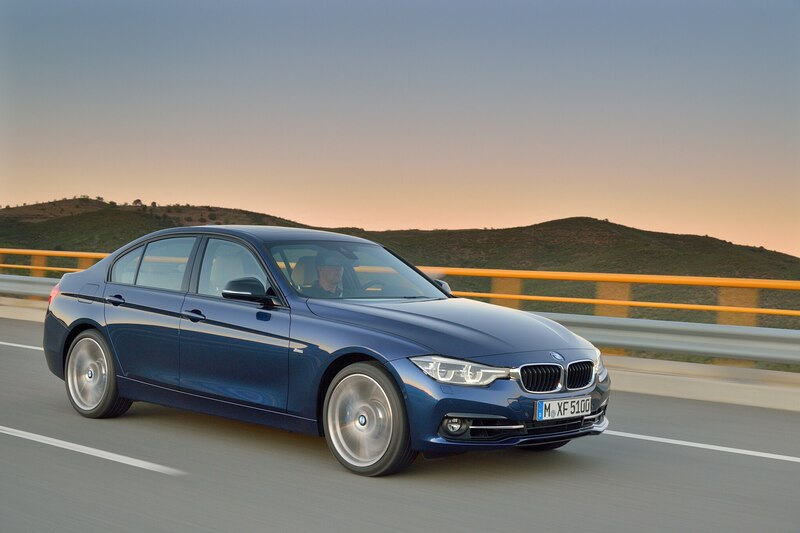 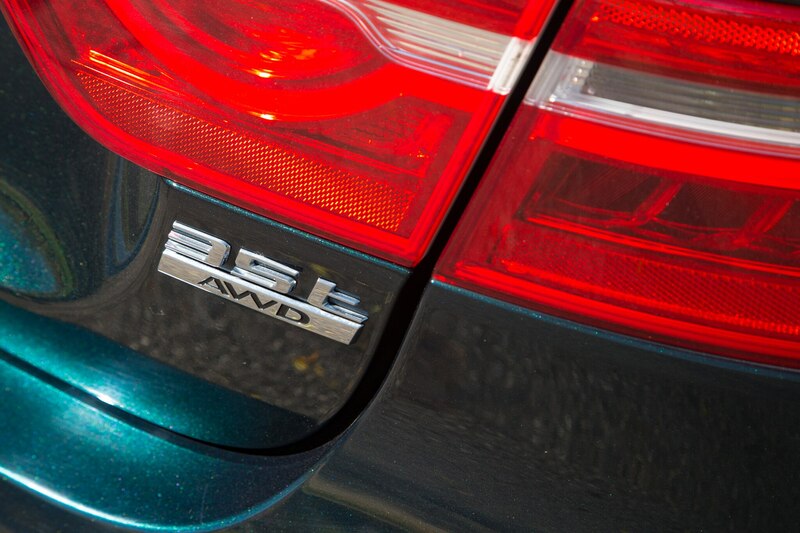 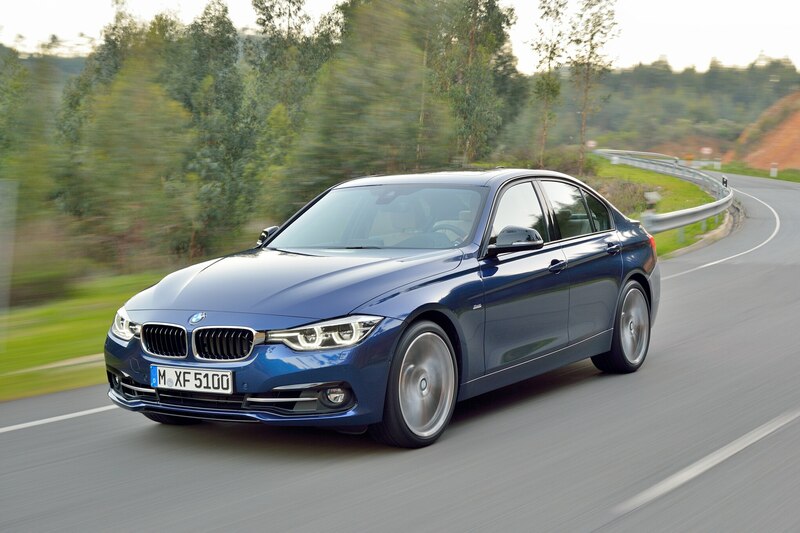 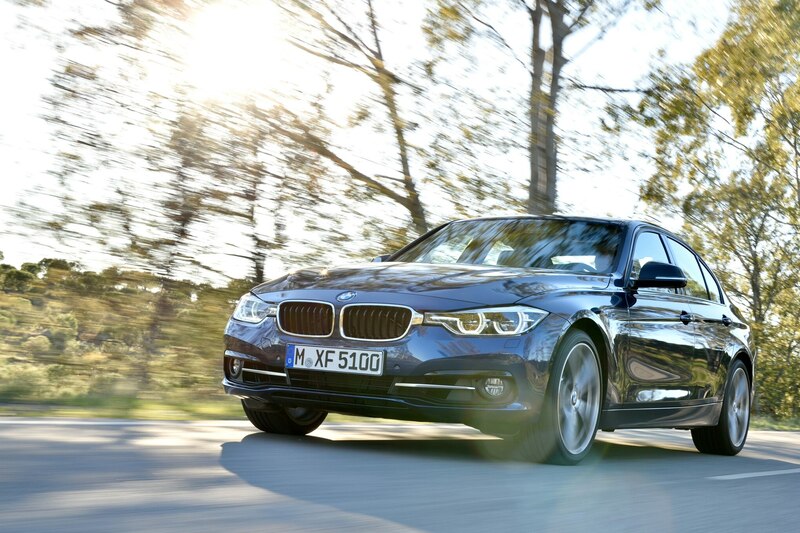 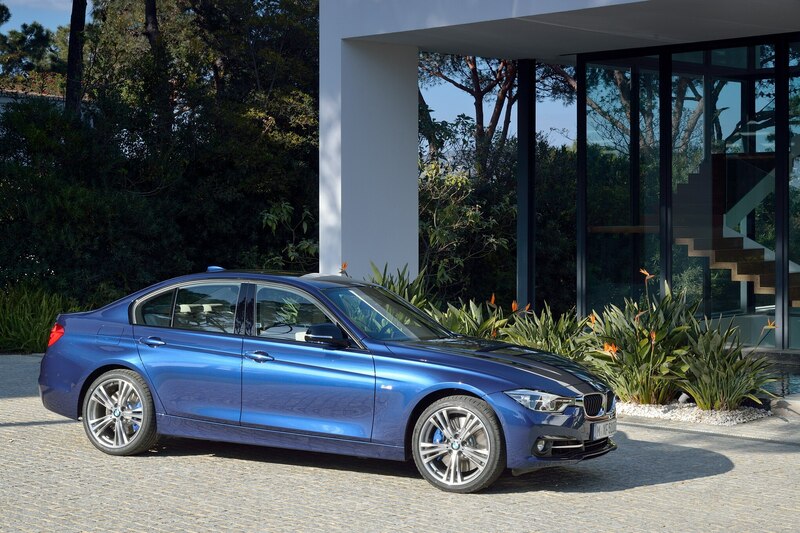 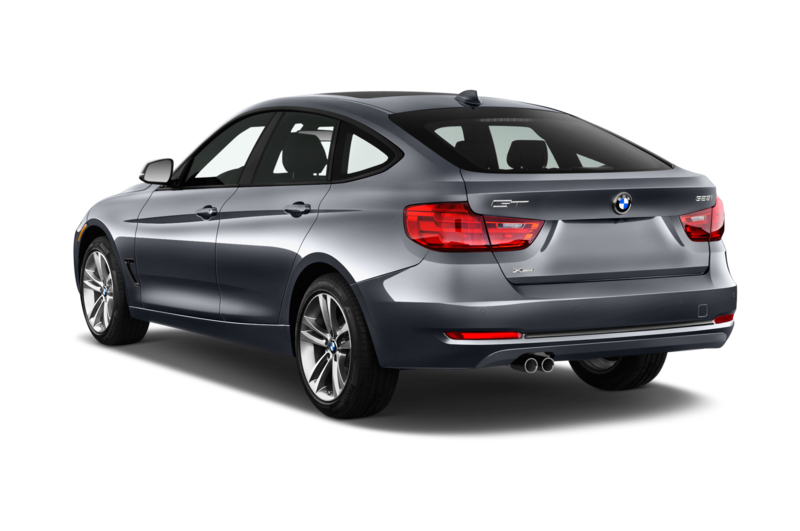 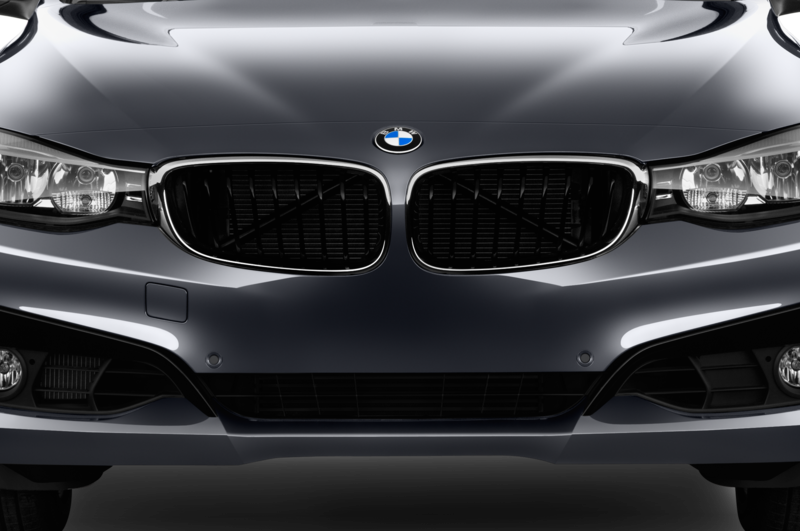 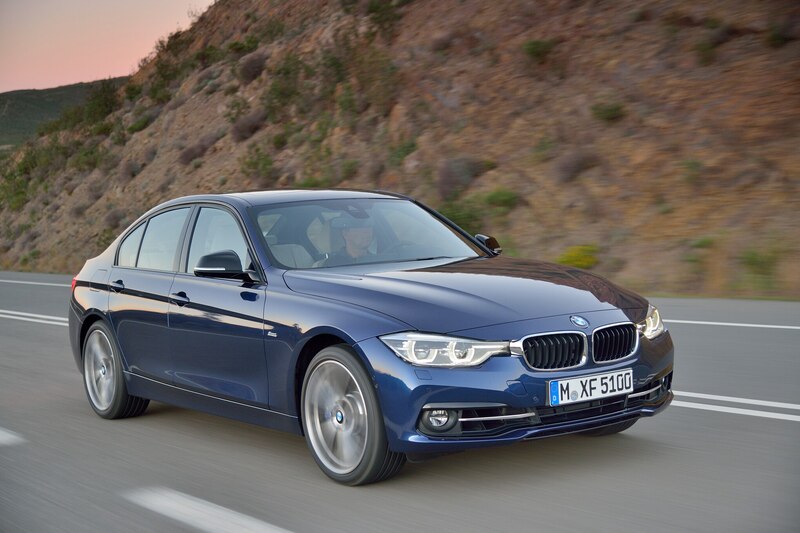 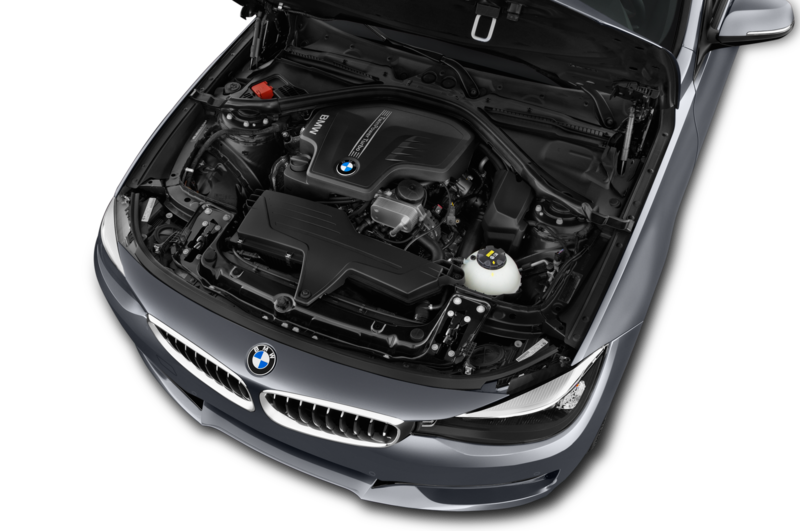 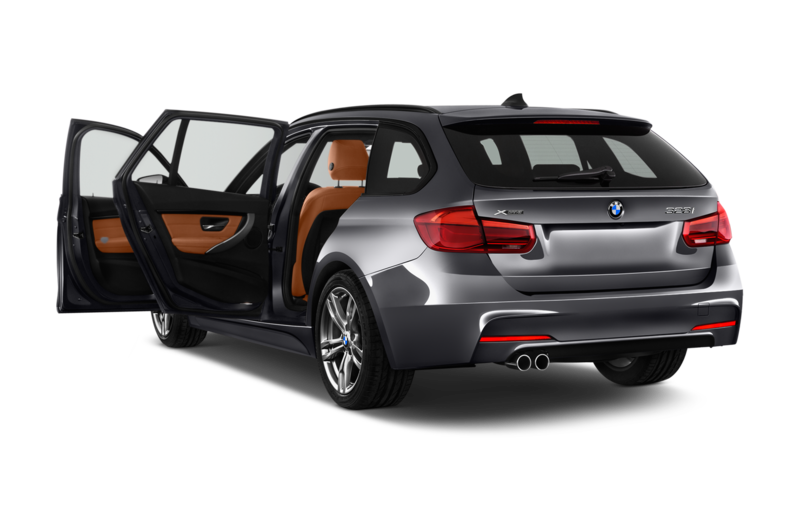 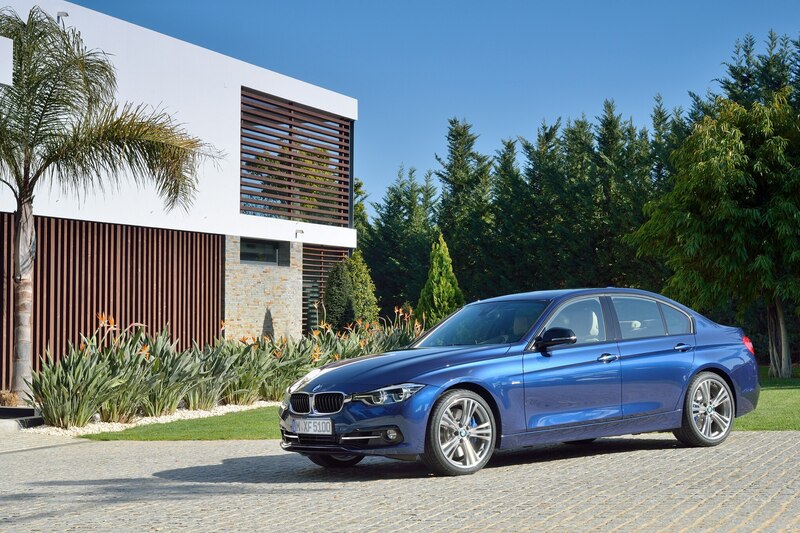 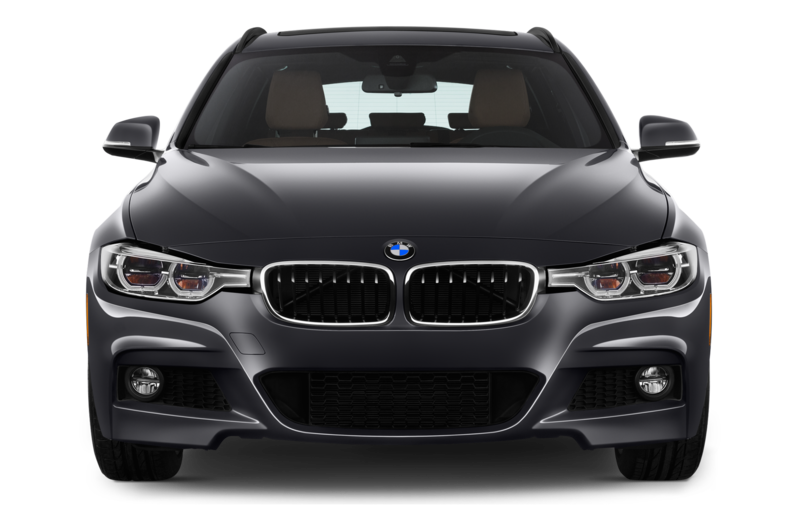 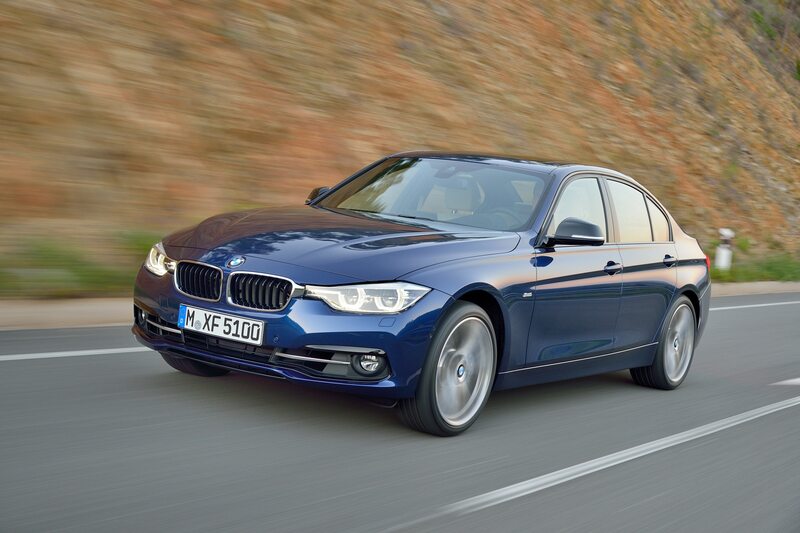 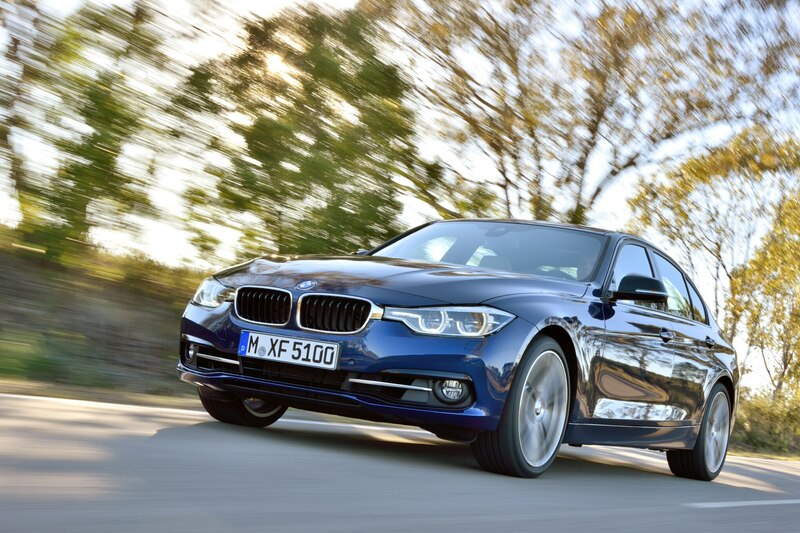 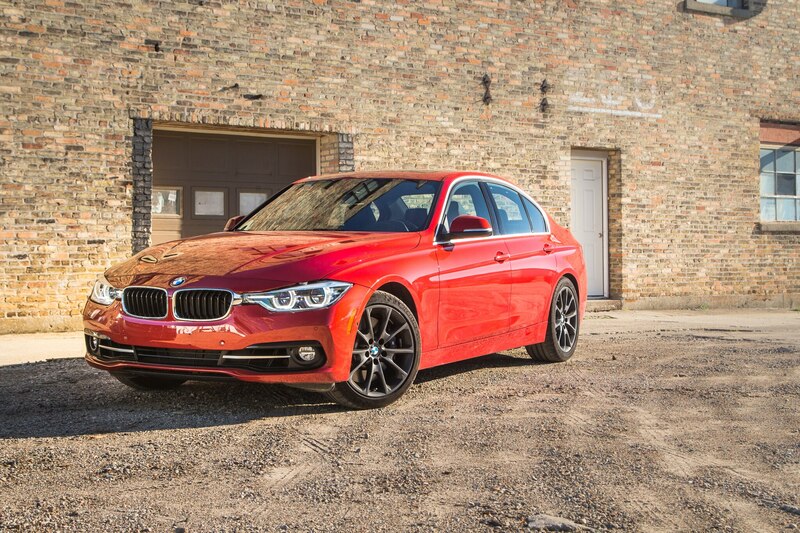 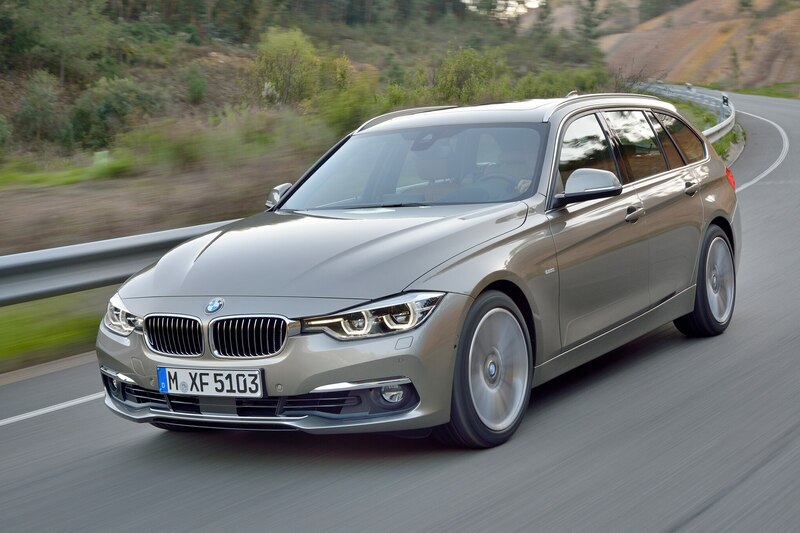 Among all of the 3 Series models on the market today, this one is the stud, thanks largely to its all-new B58 engine. 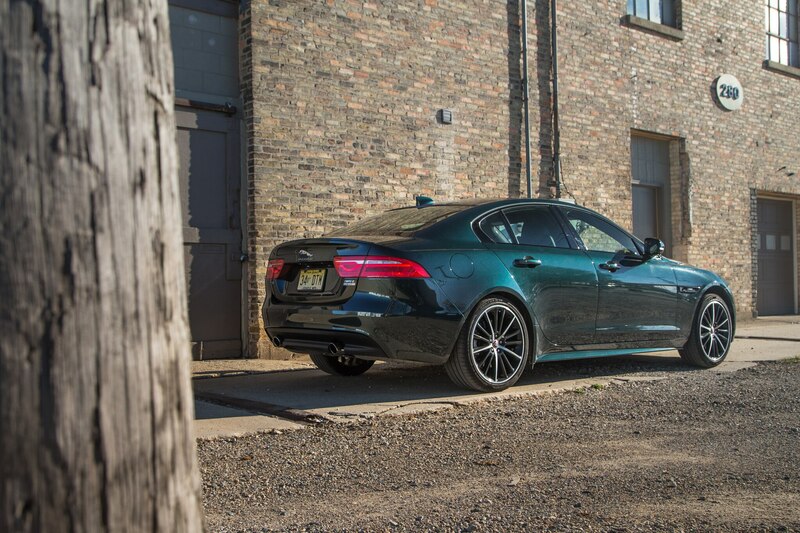 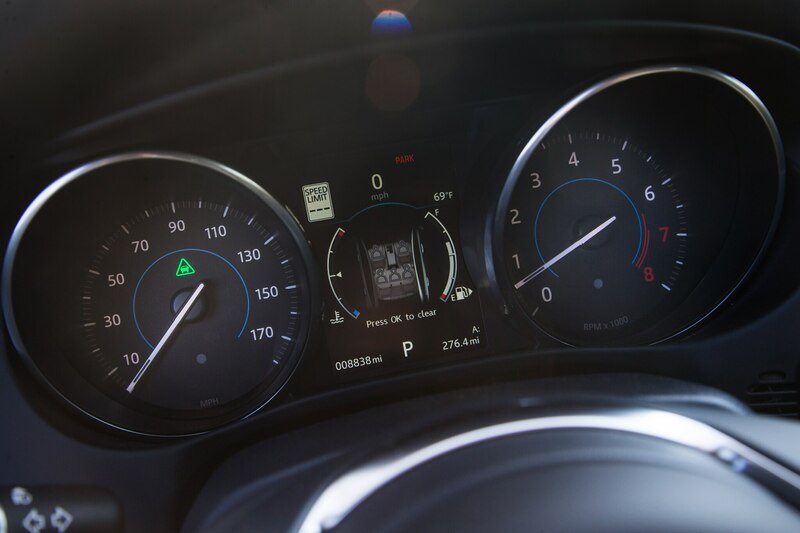 The turbo-six makes 320 hp (up from 300 before), and while that’s shy of that XE 35t, its 330 lb-ft of torque arrives much sooner in the rev range—at just 1,380 rpm versus 4,500 rpm in the Jaguar. 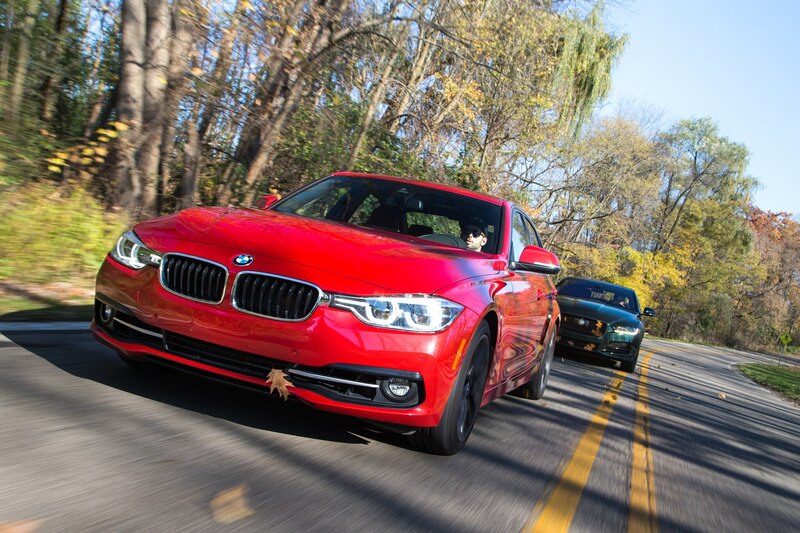 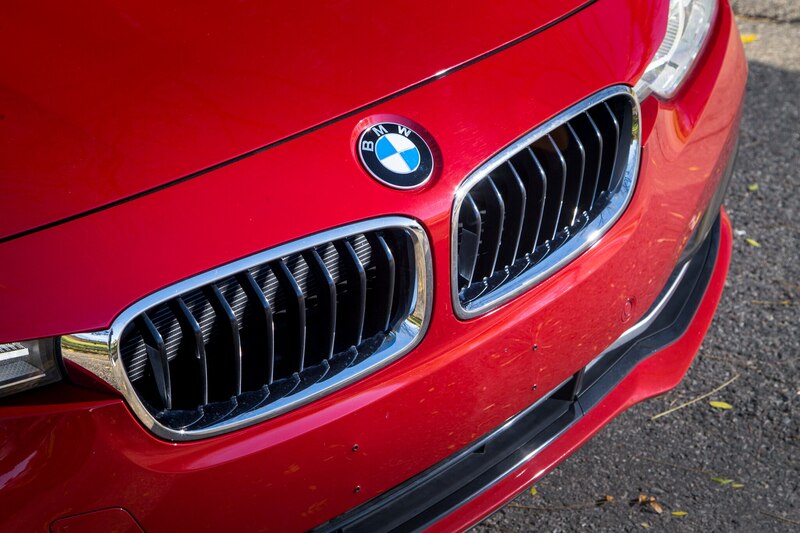 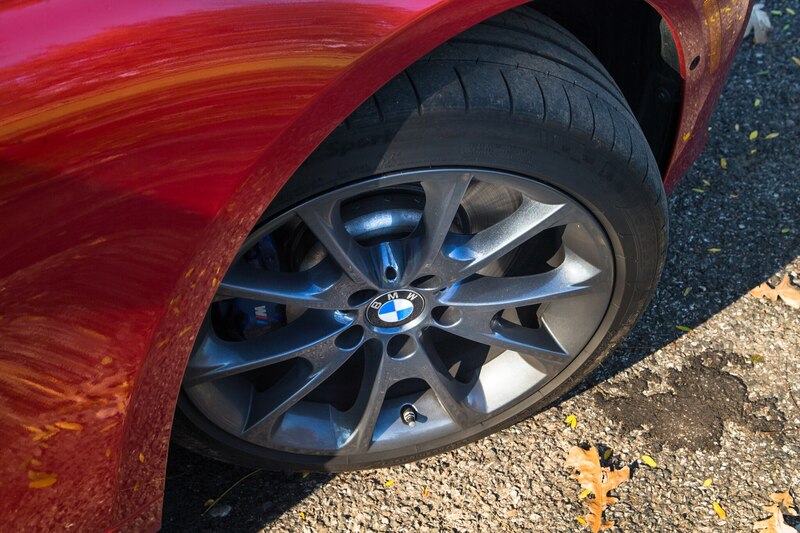 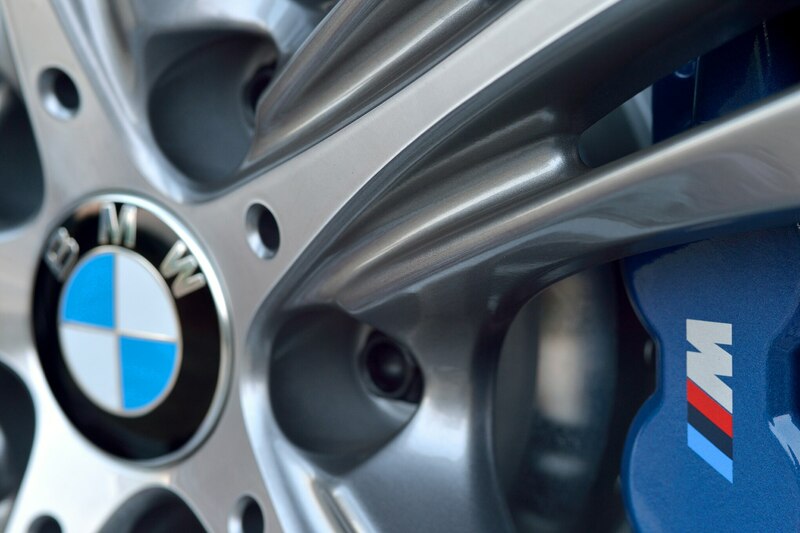 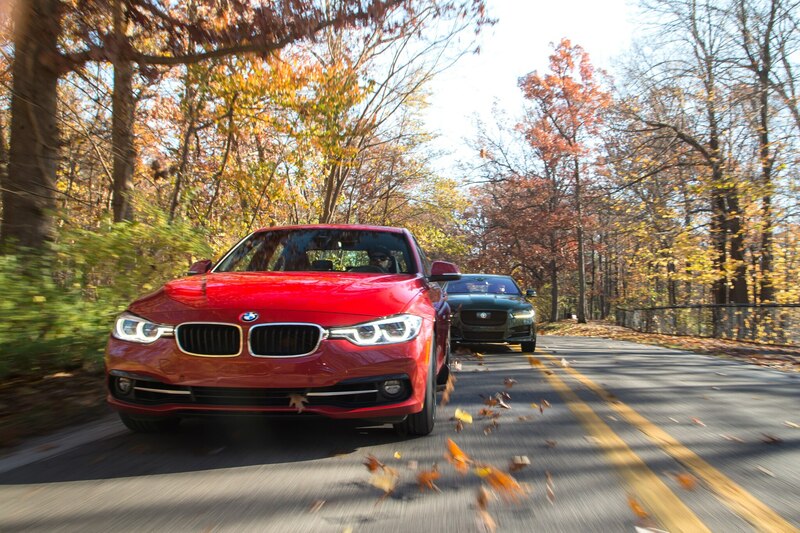 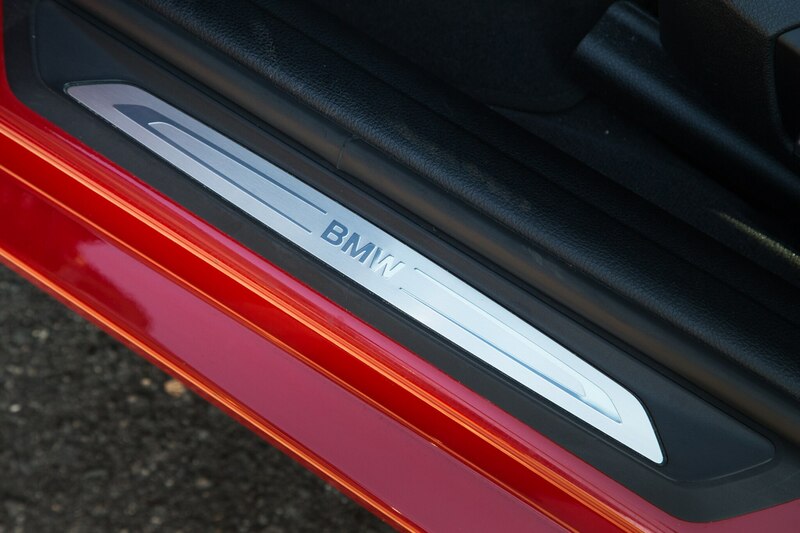 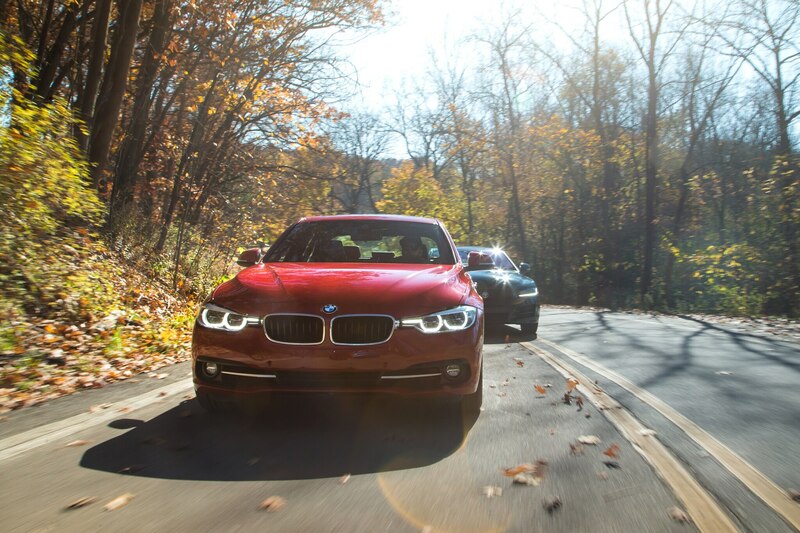 The BMW is both smoother and has a richer exhaust note to boot. 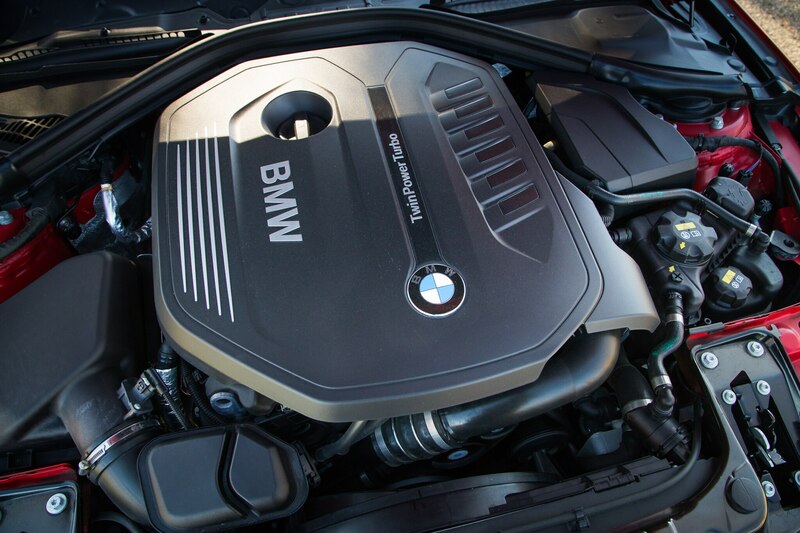 While BMW may have lost its groove in some ways, the Bavarians still build one hell of an engine. 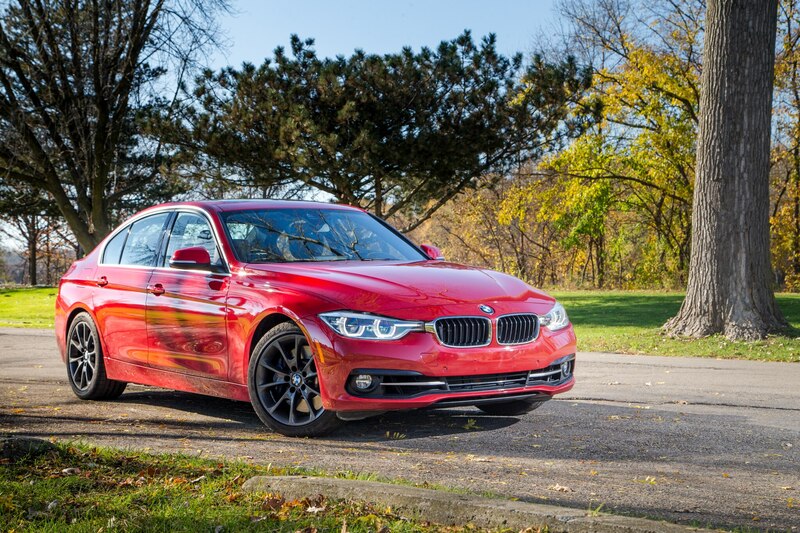 Though the 340i’s chassis dynamics are no longer top dog—the Alfa Romeo Giulia owns that crown now—the Track Handling package is a significant leap in driving satisfaction for those that care to notice. 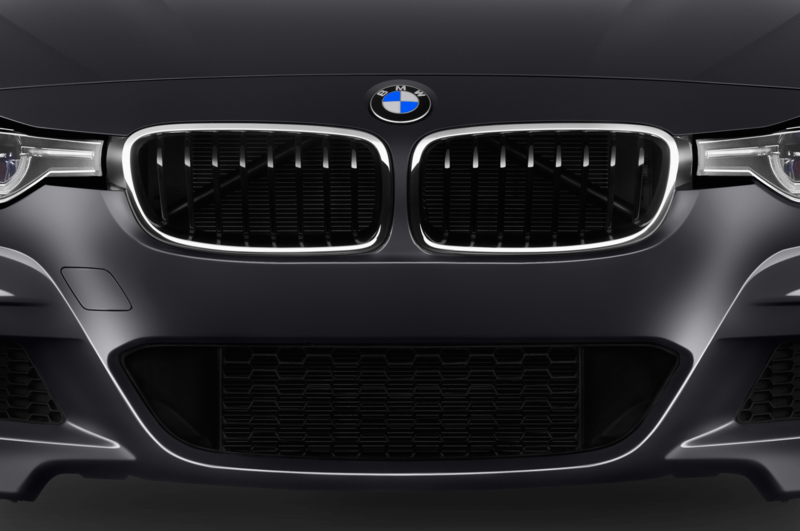 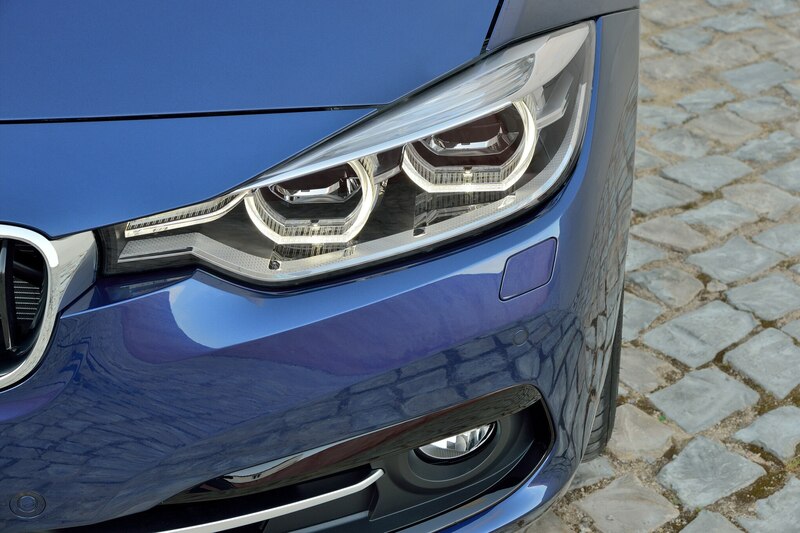 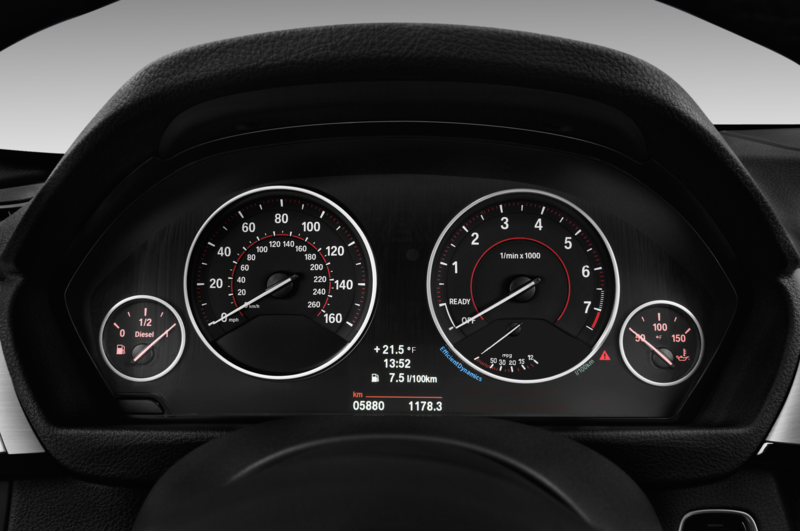 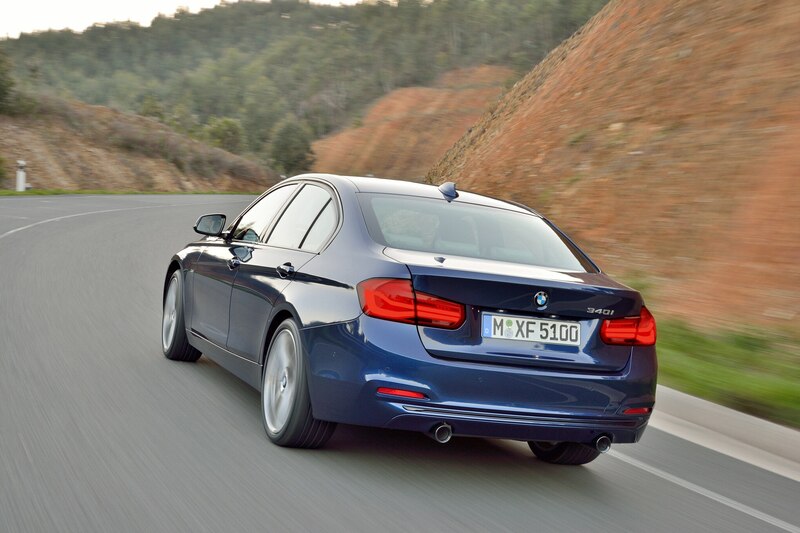 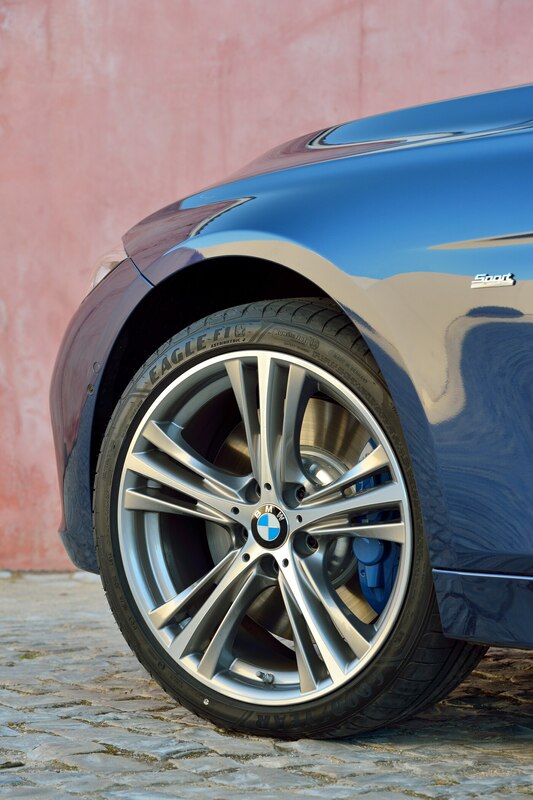 The steering is more alert and weights up more predictably than in a regular 340i. 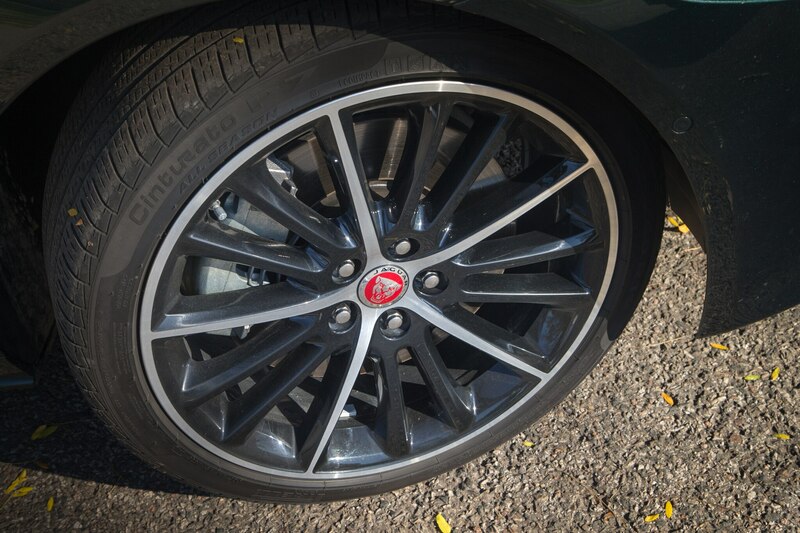 Compared to the XE, the brakes are noticeably grabbier and easier to modulate, and on the 18-inch wheels the ride was a little more compliant. 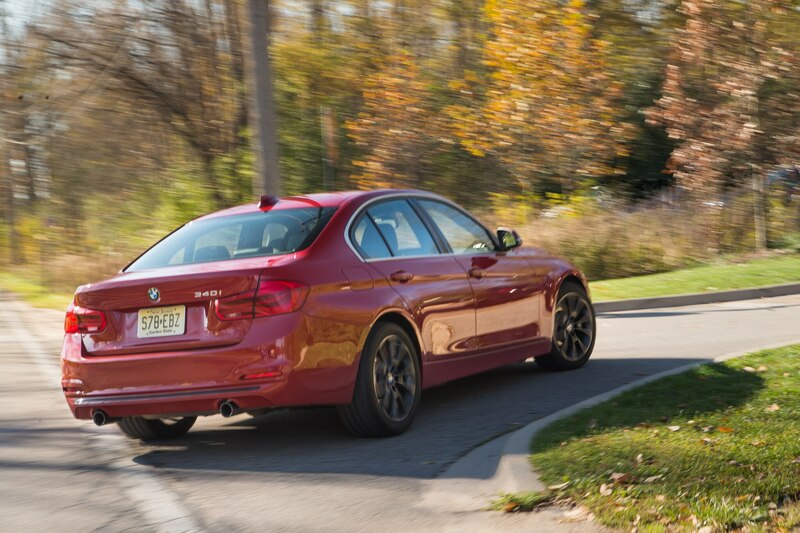 Despite being somewhat off its game according to historical perspectives, the BMW 340i with the track pack is still a satisfying and capable sport sedan. 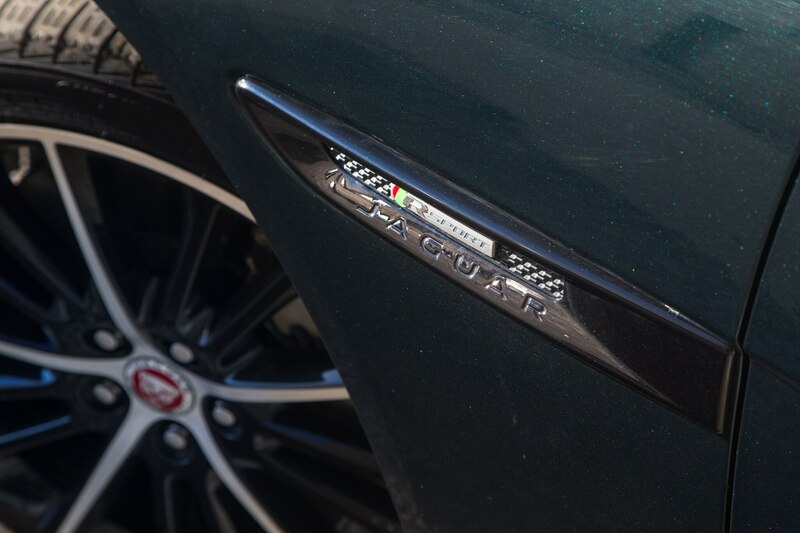 But in the ways it is imperfect, the Jaguar had a chance to really gain ground with exterior design, interior quality, and chassis tuning. 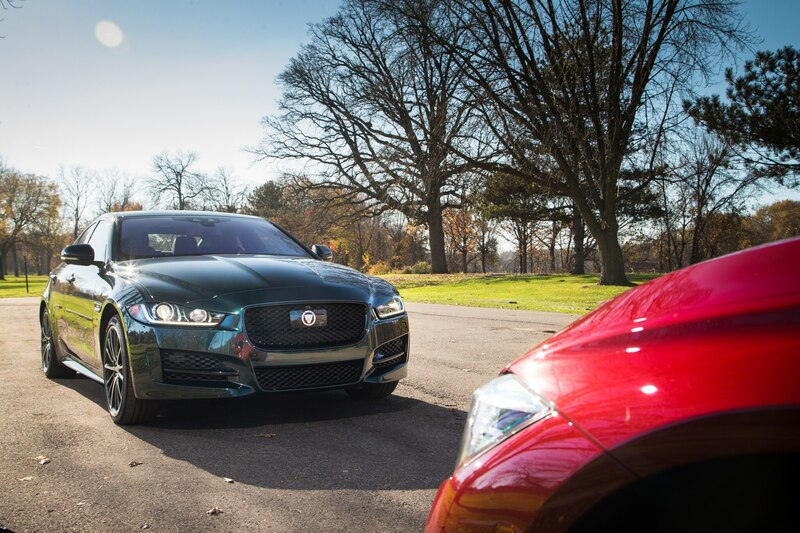 While the two are awfully close, and the Jaguar certainly has its merits as far as dynamics, the XE doesn’t do quite enough to overtake the rabbit it chases.